A new teaser promo for season 3 of Marvel's Daredevil just screened at NYCC, & this one gives us a taste of what to expect from new villain Benjamin Poindexter, aka Bullseye (Wilson Bethel). Check it out. The recent full trailer for season 3 of Marvel's Daredevil introduced us to an impostor Man Without Fear, and now we get to meet the man behind the mask in this new NYCC teaser. 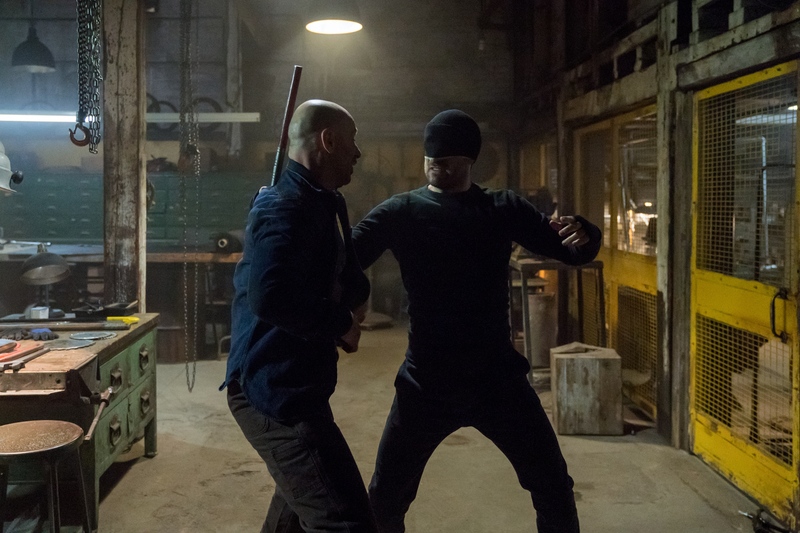 The footage focuses on former FBI Agent Benjamin "Dex" Poindexter, who has a very rare talent that Wilson Fisk decides to harness in order to succeed in his mission to take down Matt Murdock. Though the character is not referred to as Bullseye here, chances are this will serve as an origin story for the classic Daredevil baddie - so don't be too disappointed of he doesn't don that mantle or his signature blue costume just yet. Tell us, are you looking forward to the return of Daredevil on the 19th? Check out the new promo below and let us know what you think. 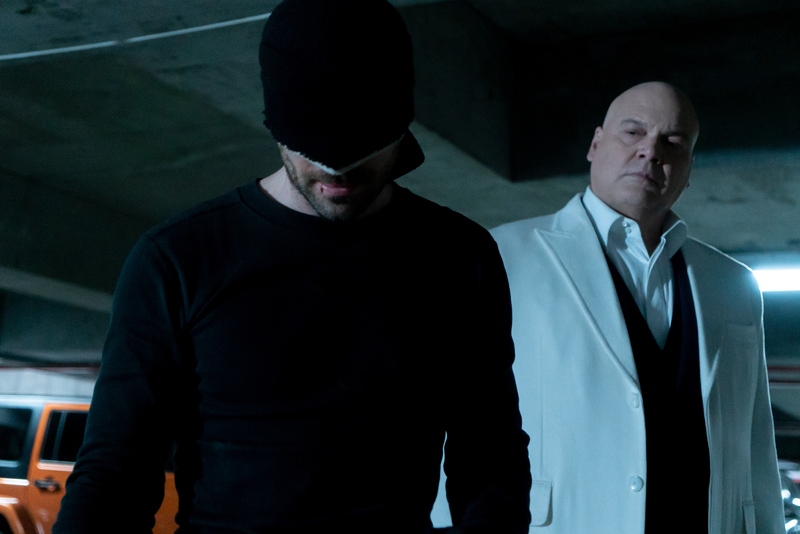 When Daredevil returns to Netflix in two weeks, the Marvel superhero will once again be clashing with the Kingpin of crime in Wilson Fisk, as well as one of his most popular villains in the debuting Bullseye. But what about his sometimes lover, sometimes foe, Elektra? One fan reached out to Elektra actress Elodie Yung on social media to ask about her involvement in the new season, prompting Yung to issue a humorous response that might get fans' hopes up. While it might be hard to decipher given phrasing, it seems like the person is saying they won't buy a pizza to watch the new season of Daredevil if Elektra isn't a part of it. And Yung responds by encouraging him to indeed by that pizza. This is somewhat surprising, but it also seems kind of obvious. There's been no indication that Elektra would be showing up in the new season, and the final episode of The Defenders made it clear that her and Matt Murdock were crushed under the collapsing Midland Circle. But if Murdock made it out alive, there's hope for Elektra, too. But even if her character doesn't play a part in the plot, which is going to focus more on the Kingpin and his new ally Bullseye, it's entirely possible that Elektra makes a cameo of some sort, even if they're just reusing leftover footage from The Defenders to show how Murdock escaped the blast. Despite there being no news about Elektra's presence, we've learned a lot more about the new season of Daredevil today. Marvel Television just held the show's panel at New York Comic Con, where they premiered a ton of new footage as well as a brand new trailer that focuses on Daredevil's arch-nemesis, Bullseye. 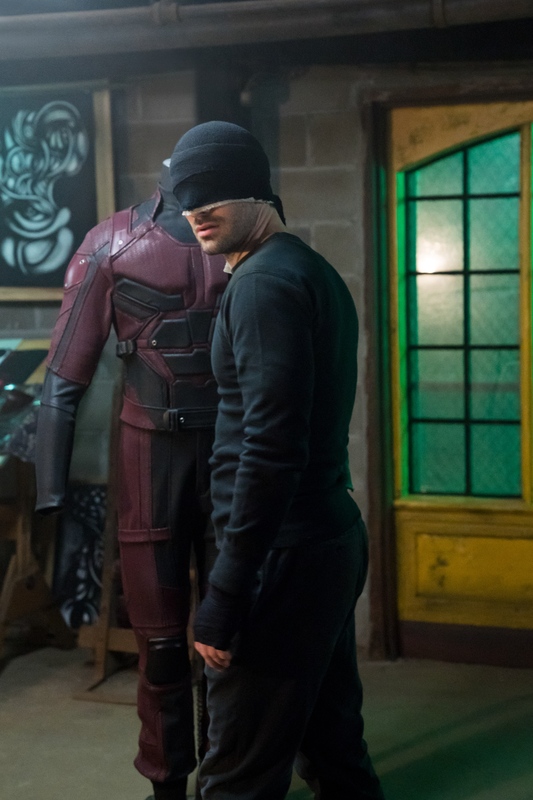 Matt Murdock's foe will don his familiar armored suit, while he himself returns to the black outfit and scarf that many will recognize from Season 1. 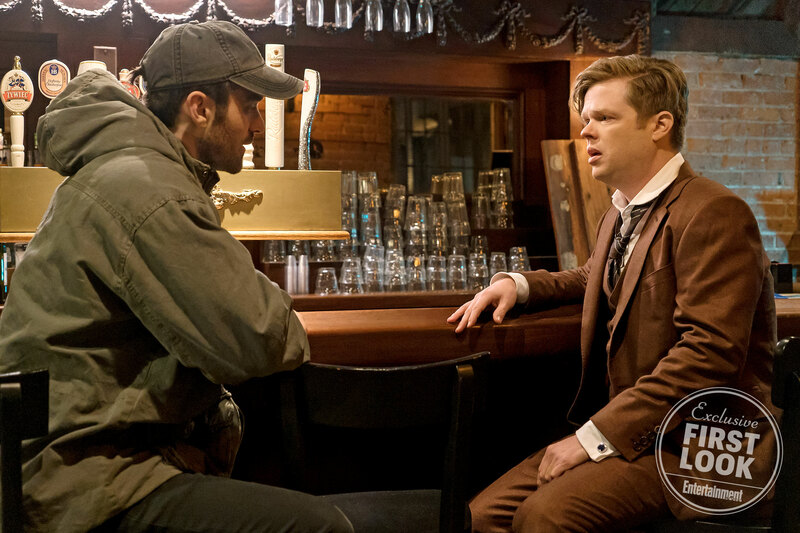 Series showrunner Erik Oleson spoke about the reason Murdock would return to the all-black garb, sacrificing the costume that made him recognizable as the Devil of Hell's Kitchen. "When he realizes that he’s incapable of being Daredevil, he would rather just end it than go forward in his life without abilities," Oleson said to Entertainment Weekly. "He’s decided to set aside his Matt Murdock persona and just be the Devil, to isolate the lighter part of himself." Fans can see Murdock's journey — and Elektra's possible return — when Daredevil Season 3 premieres on Netflix on October 19th. With the latest trailer for the third season of Daredevil having revealed Bullseye as its main villain, many fans of the show who are unfamiliar with the comics are wanting to know more about the deadly marksman considered by many to be Daredevil's most physically dangerous foe. They are not alone, as the character of Bullseye has been a figure of mystery since his first appearance. In fact, precisely when he made his first appearance is a mystery in and of itself. Thankfully, the origins of the Netflix series' take on Bullseye are far more straightforward. The new villain will be introduced as FBI Agent Benjamin "Dex" Poindexter - a master marksman who is also good with thrown weapons. Dex also appears to have some serious mental problems, which the structure of his work at the FBI helped to keep in check. It spoils little to say that something will break and "Dex" will soon be putting his talents to use in the service of The Kingpin. Curiously, the origins of the man known as Bullseye aren't nearly as well defined in the comics. Much like The Joker, his real name is unknown and he's told a number of conflicting stories about his past over the years. The efforts of various writers to tie Bullseye into the past of characters besides Daredevil, such as one story which suggested Bullseye faced Frank Castle in one of his first adventures as The Punisher, have only muddied the waters. There is also an assassin called Bulls-Eye, who was seemingly killed after his first appearance in Nick Fury: Agent of S.H.I.E.L.D. some six years before Bullseye appeared in the pages of Daredevil. Opinions differ as to whether or not they are the same man. One of Bullseye's origin stories suggested that he was a promising professional baseball pitcher, who became bored with the game and discovered an untapped blood-lust when he intentionally threw a fastball right between the eyes of a batter who mocked him. Another story depicted him as the product of an abusive home, who faked his father's suicide by using a toy arrow set to pull off a trick-shot that set off his father's pistol. Yet another story suggests that Bullseye was once a highly respected NSA agent, who abandoned his life to go into business for himself as a freelance assassin. It is impossible to say which of these stories (if any) is true, as Bullseye has freely admitted to lying about his past whenever he is asked about it. Bullseye's true name is just as big a mystery as his past. The Ultimate Universe version of Bullseye was said to be named Benjamin Poindexter, but it was never made clear if this was an alias or not. The main Marvel Comics Universe version of Bullseye has referred to himself as Benjamin Poindexter on several occasions, but no one has confirmed if that is his real name. He has also used the names Lester Jangles and Leonard McClain. Whatever his origins, Bullseye had a reputation for cruel efficiency as a freelance assassin long before he was hired by The Kingpin to be his personal problem solver. His talent for murder was equaled only by his capacity for holding a grudge and he showcased both when he killed the assassin Elektra for stealing his job, after The Kingpin hired her to replace Bullseye when he was imprisoned. Call him what you will but it seems likely that Daredevil will have his hands full in the season to come. Marvel TV sold out Madison Square Garden for its Daredevil Season 3 panel a New York Comic-Con, proving that it's one of the most highly-anticipated Marvel Cinematic Universe projects on the horizon. The highlight of the Daredevil panel was no doubt the big (if not obvious) reveal that new season 3 cast member Wilson Bethel isn't just "FBI Agent 2" or "Benjamin "Dex" Poindexter," but rather one of Daredevil's most feared enemies, Bullseye! This Marvel fan managed to capture the hilarious moment and share it on Twitter. As soon as Marvel TV head Jeph Loeb announced that Bethel was Bullseye, Daredevil star Charlie Cox jumped out of his seat and went to work! Using a carefully-concealed marker, Cox quickly draw the iconic Bullseye symbol right on Bethel's forehead - thereby completing the look fans know and love. Bethel took the hazing in stride as the new guy, no doubt loving the sheer amount of Marvel fan mania that was erupting in the room at the time. As you can see in the trailer above (or read in our full panel recap HERE) Bethel's performance as "Dex" will be a slow-burn descent into the madness that is "Bullseye." Two big Bullseye scenes were actually screened during the panel: our first introduction to FBI agent Poindexter, during an intense sequence where Albanian gangsters ambush an FBI convoy transporting Wilson Fisk; and another in which Dex is in full Bullseye mode, impersonating Daredevil and throwing with the real Matt Murdock in a newspaper office. 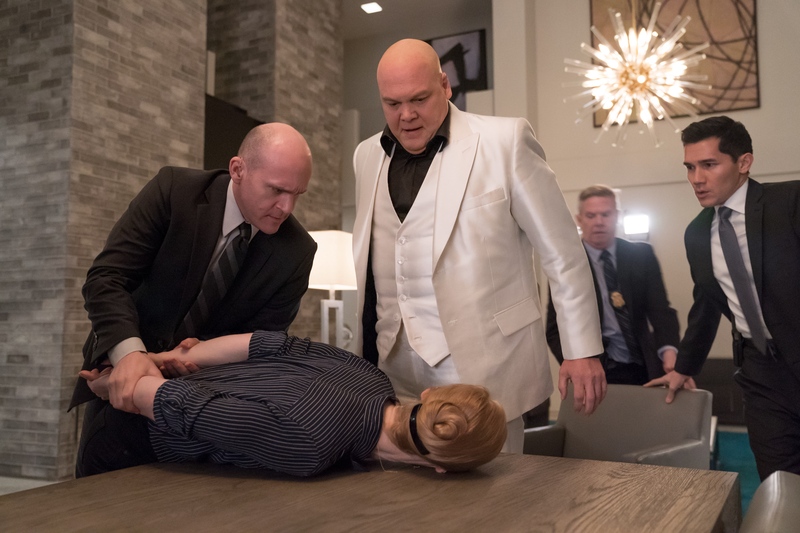 Both hint at the possibility that Bethel's Bullseye will be the best MCU Netflix villain since Vincent D'Onofrio's Kingpin, which could help to elevate Daredevil season 3 into the best that Marvel Netflix has put out. The larger arc of season 3 will see Matt Murdock trying to recover from the significant injuries he suffered at the end of The Defenders. Matt will be trying to get back out on the streets, despite some new handicaps as a result of his injuries. Meanwhile, Wilson Fisk will be looking to change his own fate, cutting a deal with the FBI that eventually sees him back on the street - only this time, it seems that Fisk may know full well the connection between Daredevil and Matt Murdock, and could make the hero's life hell on both fronts. For Matt Murdock, that means losing his safety of his identity; for Daredevil, it means having to finally face a weapon (Bullseye) that could actually take him out. 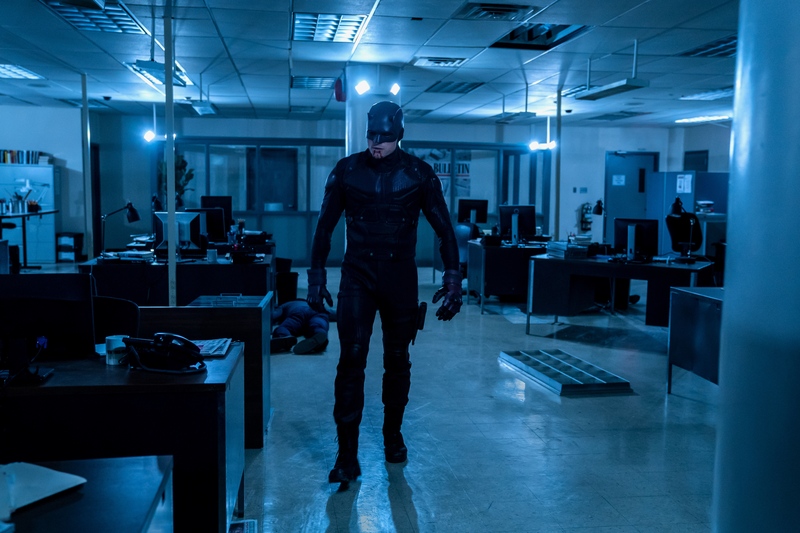 Following that extensive set report, Netflix has released over twenty new photos from the upcoming third season of Marvel's Daredevil, featuring a new look at Matt Murdock getting back into fighting shape. 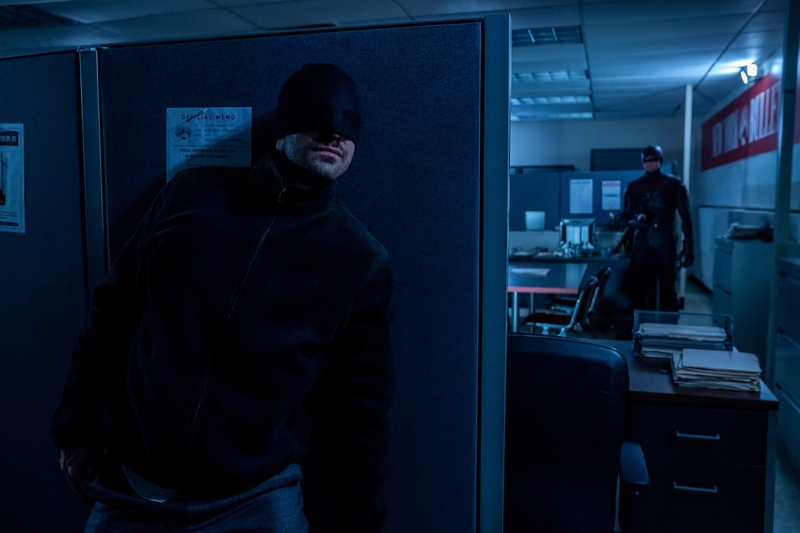 With the third season of Daredevil set to premiere next weekend, Marvel and Netflix have released over twenty new ultra hi-resolution promotional stills from the coming thirteen episode season, featuring a non-spoilery look at things to come. 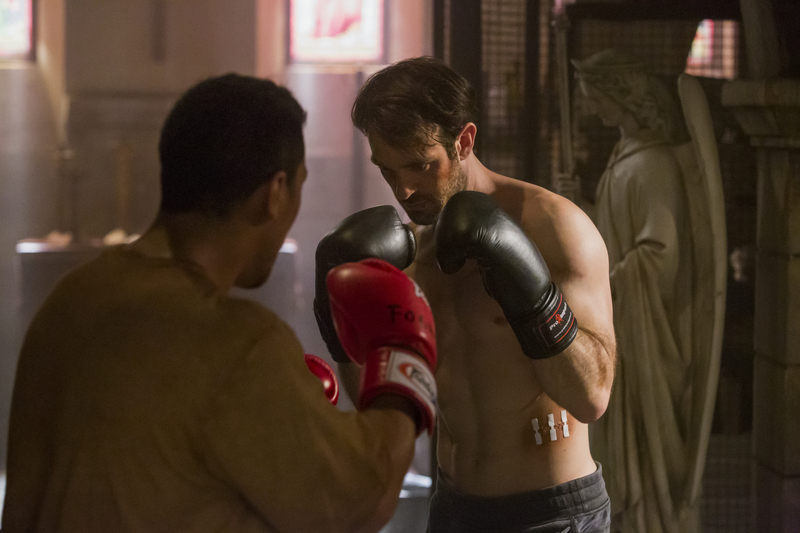 The first few photos showcase Matt Murdock (Charlie Cox) getting back into fighting shape before we catch a look at him back in the black suit. 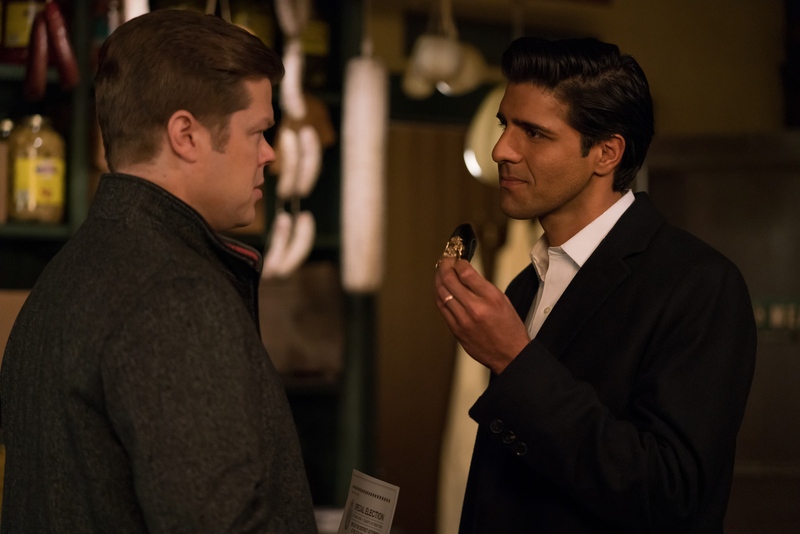 There's also a number of new photos of the supporting cast, which consists of Foggy Nelson (Elden Henson), Karen Page (Deborah Ann Woll), and Rahul Nadeem (Jay Ali). We also get to see the Kingpin (Vincent D'Onofrio), in his fancy white suit, and new shots of Bullseye (Wilson Bethel). 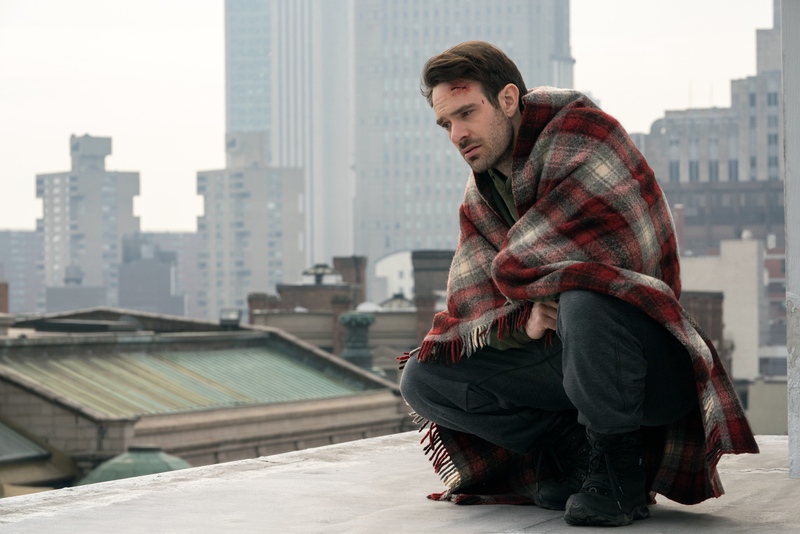 The new season of Daredevil picks up after the events of The Defenders, and finds Matt Murdock in the midst of a spiritual and emotional crisis. The results are mixed. Can the Marvel Netflix show continue to thrive, or is it time to exorcise this series for good? Read our Daredevil season 3 review below. What’s Going On In Daredevil Season 3? Daredevil is back for an all-new season of Catholic guilt, hallway fights, and Vincent D’Onofrio stealing every scene he’s in. Daredevil season 3 serves as something of a soft-reboot – Matt Murdock (Charlie Cox) was left for dead at the end of spin-off series The Defenders, and a good chunk of season 3 involves the character slowly working his way into being the Man Without Fear yet again. Matt has also distanced himself from his friends Foggy Nelson (Elden Henson) and Karen Page (Deborah Ann Woll), realizing he can no longer keep them safe. As long as he’s Daredevil, their lives are in danger, so it’s better not to have friends at all. Meanwhile, Wilson Fisk (D’Onofrio), AKA the Kingpin, has plans of his own. He’s been incarcerated since the end of season 1, and he’s come up with an elaborate plan to rat out his criminal associates in exchange for some form of freedom. He strikes a deal with easily fooled agent Rahul “Ray” Nadeem (Jay Ali), and is removed from prison and placed into a fancy hotel. 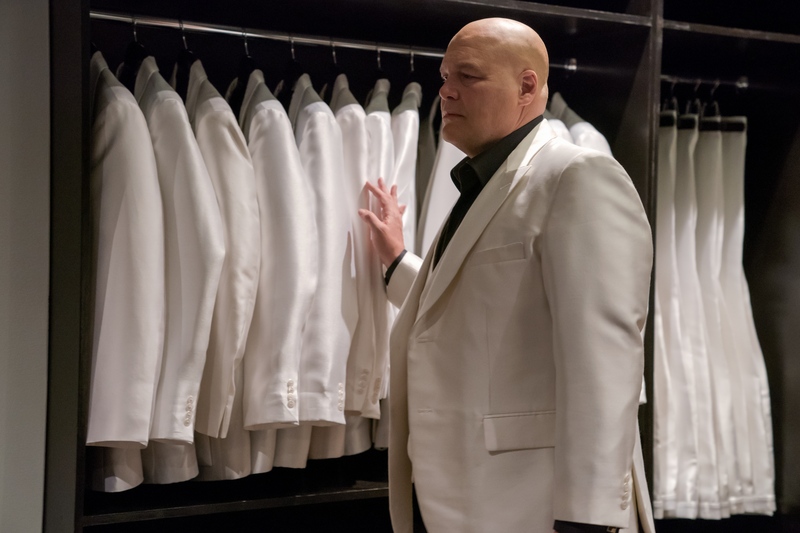 But Fisk has more up his white suit jacket sleeve than meets the eye. 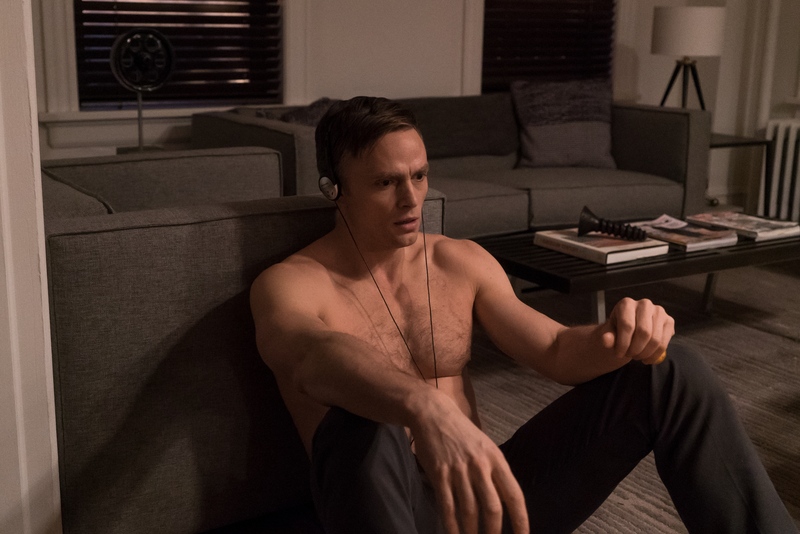 He’s personally coming after Matt Murdock, and to do so, he’s found a new recruit: FBI Agent Dex Poindexter (Wilson Bethel), a sociopath who has a knack for hitting every target he aims at (in other words, he’s the show’s version of Daredevil nemesis Bullseye). Fisk using Bullseye to target Daredevil and destroy his life is, in part, lifted straight from the ‘80s Daredevil comic arc “Born Again”, written by Frank Miller, and drawn by David Mazzucchelli – but don’t expect an entirely faithful adaptation here. Does Daredevil Season 3 Feature Appearances From Other Marvel Netflix Heroes? I wanted it to be standalone, I did not do crossovers this season. I wanted to really get back to these core characters and use the real estate to focus on who they are and really fleshed them out before I introduced external and other elements of the MCU, at least on the Netflix/Marvel side – I really wanted to get back to the core characters and tell a character-driven season. Is this a problem? I personally would’ve liked to see Frank Castle pop-in for a bit, because the character worked so well in Daredevil season 2. But it’s also nice to have a season of one of these shows try to stand on its own without worrying too much about which familiar face might pop up. Is Daredevil Season 3 Any Good? 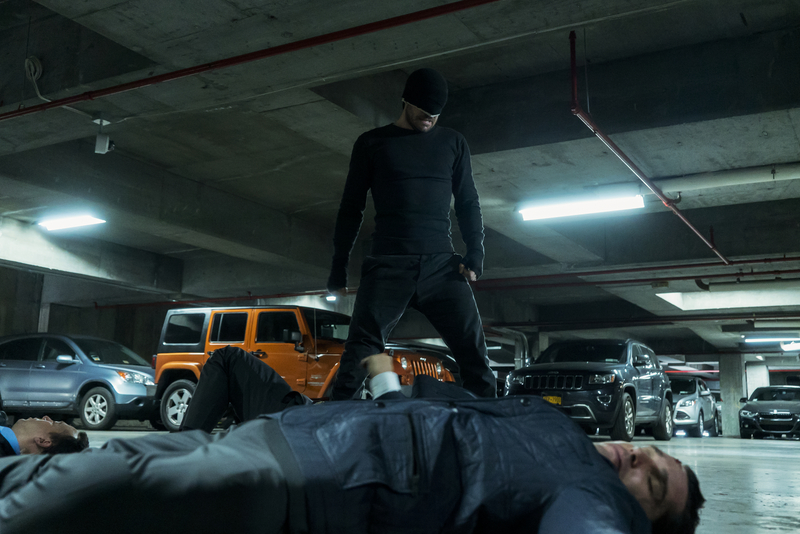 Daredevil has remained one of the more consistent Marvel Netflix shows. The first season was the first Netflix original series set in the MCU, and while it had some pacing problems – problems that would persist in every single Marvel Netflix show to follow – it served as a good introduction into the darker, grittier, more violent side of the Marvel Universe. Season 2 was a huge improvement. 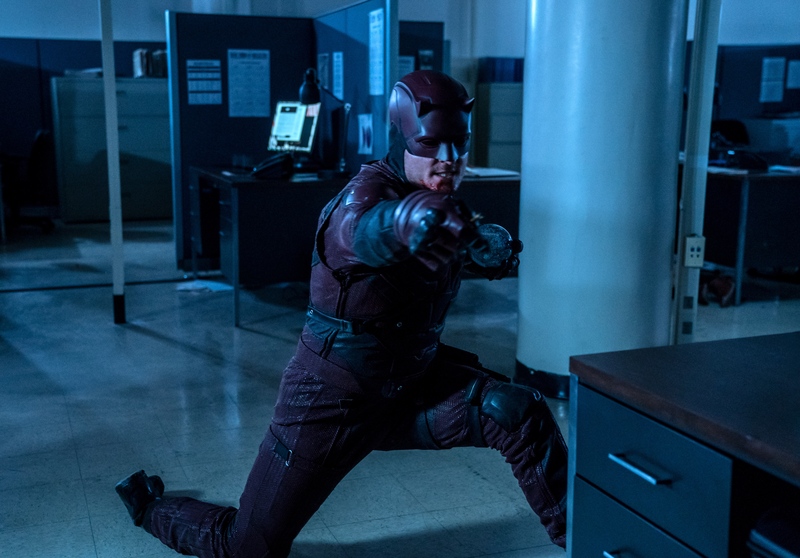 By throwing Frank Castle into the mix, Daredevil found the perfect foil, and the show’s portrayal of the character was the first live-action project to get The Punisher right. Adding Elektra into the show was a plus as well. That said, for everything season 2 did right, it also still succumbed to slog-like pacing issues. And a plotline involving ninjas fell utterly flat. And what of season 3? It’s a bit of a mixed bag. As mentioned above, Daredevil season 3 attempts to start over in many ways. It even goes so far as to have Matt return to this black suit he wore for almost the entirety of season 1. While the reasoning behind this eventually pays off – Matt has to go up against Bullseye wearing the red Daredevil costume to impersonate and frame him, and having the characters wear different costumes helps the viewer keep track of them – it still has an air of regression to it. We’ve come so far, why go back now? Charlie Cox does good work playing the emotionally broken Matt Murdock here. He’s no longer idealistic, no longer even positive about his mission. He’s angry, and violent, and is in the midst of a crisis of faith. 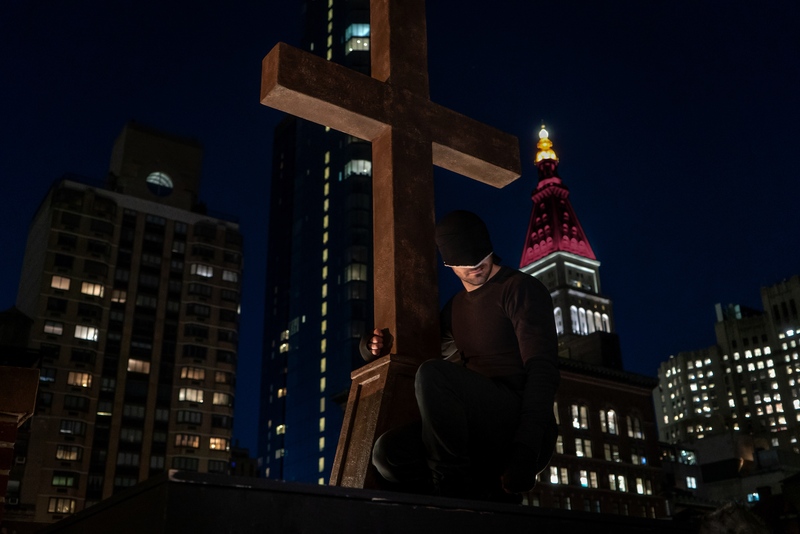 Catholic guilt has always been a big part of Daredevil’s character, but season 3 plays this to the hilt, having Matt question God’s existence and more. 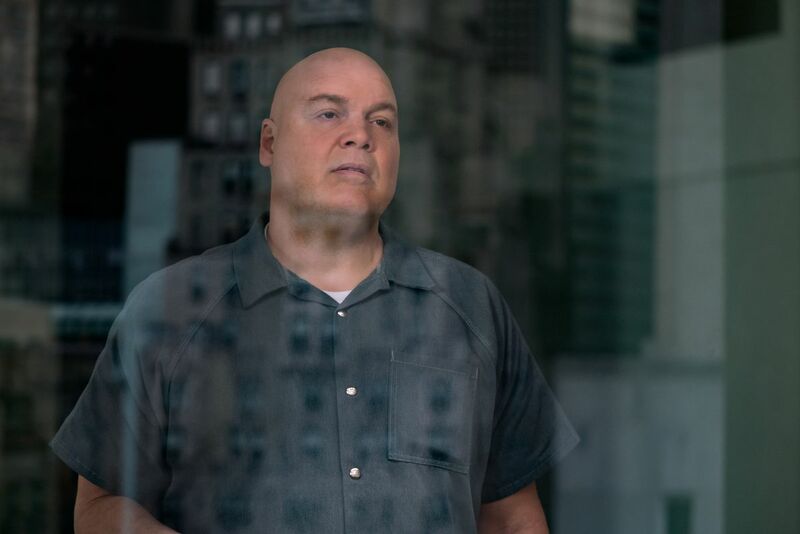 Where season 3 really shines is its handling of Wilson Fisk. Vincent D’Onofrio made for a wonderfully complex bad guy in season 1, and his limited role in season 2 was certainly noticeable. Here, he’s front and center again. Once again, D’Onofrio commands the screen, making Fisk terrifying yet somehow oddly sympathetic. He’s an awful person who does horrendous things, but D’Onofrio knows just how to play up the character’s vulnerabilities. It makes him seem more human, and, by extension, more relatable. The same can’t be said of the show’s version of Bullseye. If you’re expecting the corny, wise-cracking Bullseye played by Colin Farrell in the mostly-forgotten Daredevil movie, you should probably temper those expectations immediately. 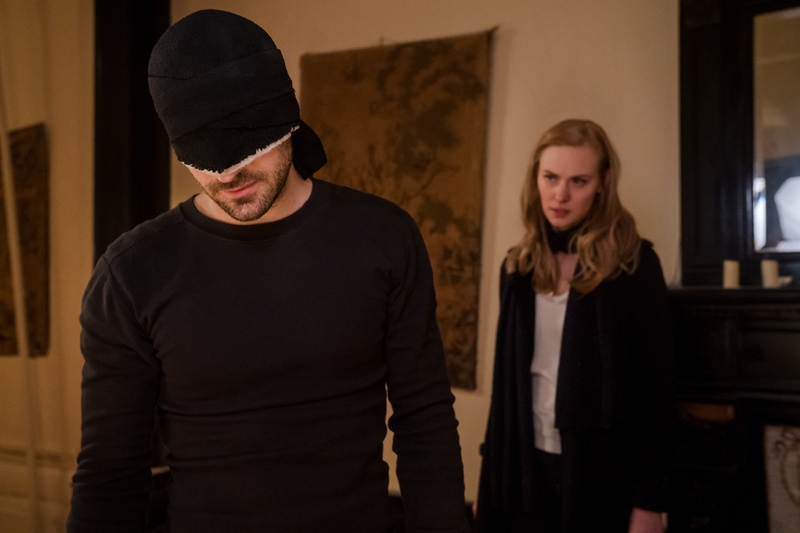 Daredevil season 3 turns Bullseye into a full-blown sociopath – he’s a man who has no problems taking lives, and doesn’t process emotions in any manner that could be considered healthy. In one episode devoted almost entirely to the character, we learn his backstory, and we see how he was trained by a psychiatrist to better fit into society. But under his exterior lurks a dangerous, deadly person. This has all the makings of a potentially gripping character, but the end result doesn’t quite work. Wilson Bethel does fairly well playing up the villain’s unstable emotional state, but as a character, Bullseye never really hits his mark. The supporting players don’t fair much better. Daredevil season 3 needs to keep inventing subplots for Karen and Foggy, and neither are particularly interesting. Deborah Ann Woll has done excellent work in the previous seasons, but here she’s reduced to sounding as if she’s going to burst into tears every ten seconds. And a plotline about Foggy running for elected office completely fizzles. And yet, despite all this, Daredevil season 3 is oddly watchable. Again, it suffers from the same tedious pacing that plagues all Marvel Netflix shows – please, make these seasons shorter, I beg of you – but if you’ve stuck with the series this long, you’re bound to find yourself wondering where this is all going. But the real question should be: where does this go from here? Can Daredevil survive a fourth season? Or is it time for the character to hang up his horns for good? Time will tell, but it’s becoming clear that the Marvel Netflix shows are in dire need of new blood. Daredevil season 3 debuts on Netflix on October 19, 2018. Out of Marvel’s Netflix superhero shows, Daredevilhas not only been a fan favorite, but simply one of its strongest performers. 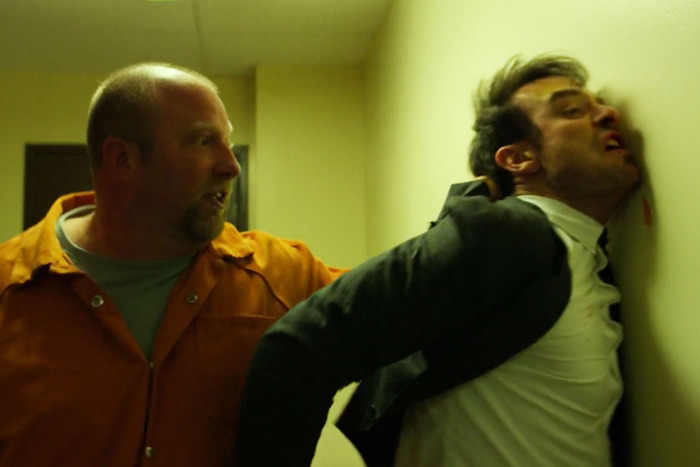 When season one was released in 2015, it seemed like everyone was enamored with Charlie Cox’s tortured portrayal of “Ol’ Hornead” and his brutal fight scenes (especially the now-legendary hallway one). 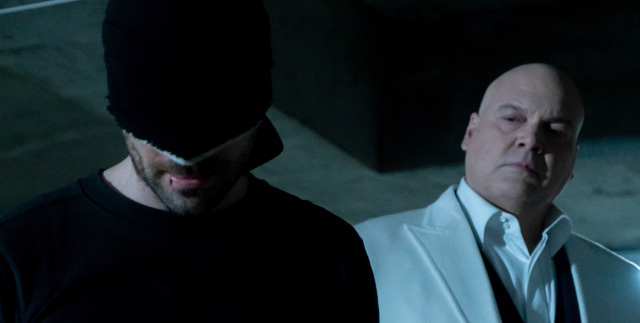 Most of all, Daredevil’s first season reaped acclaim for its incredibly complex villain, Wilson Fisk, aka the Kingpin, brought to empathetic life by Vincent D’Onofrio. Daredevil season two and The Defenders introduced a bit of Daredevil fatigue. I love ninjas — I mean, who doesn’t really? — but I got tired of the Hand, the ruthless criminal organization that was interwoven throughout multiple Marvel shows, who lacked the charisma and complicated nature that Fisk embodied so well during season one. And as much as I looked forward to The Defenders as a culmination of my efforts for watching all of Marvel’s street-level superheroes, it underwhelmed. Now that season three of Daredevil is premiering Oct. 19, what can we expect? 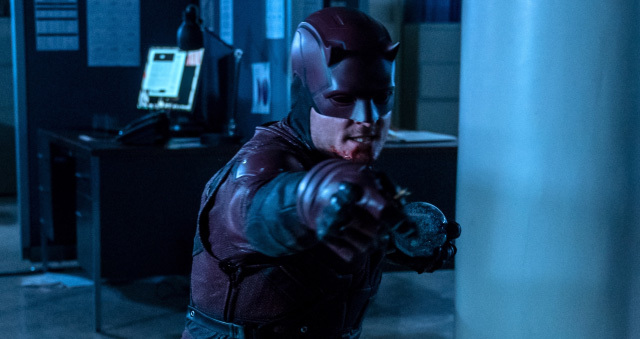 How will this season make Daredevil feel fresh again, and not just a rehash of what we’ve seen before? 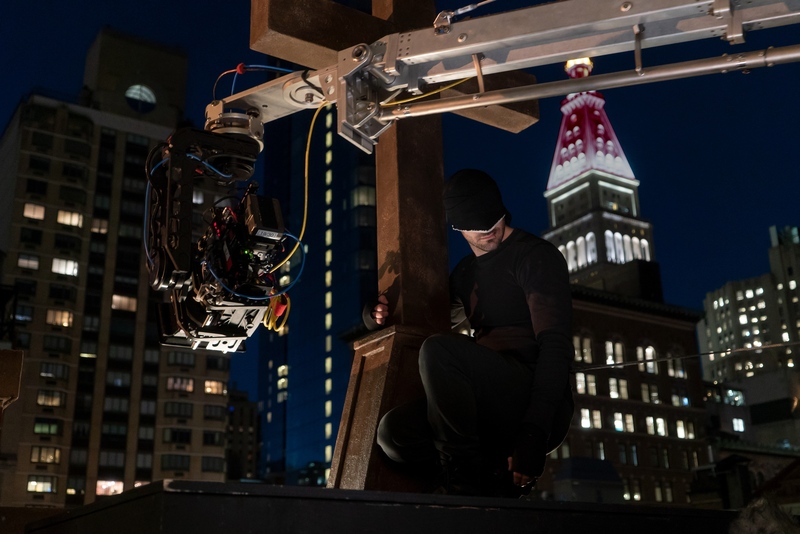 Having watched the first six episodes of season three, I’m here to tell you, Daredevil has found its footing again, taking what worked best in season one and exploring those concepts in different ways. Basically: everything old is new again. 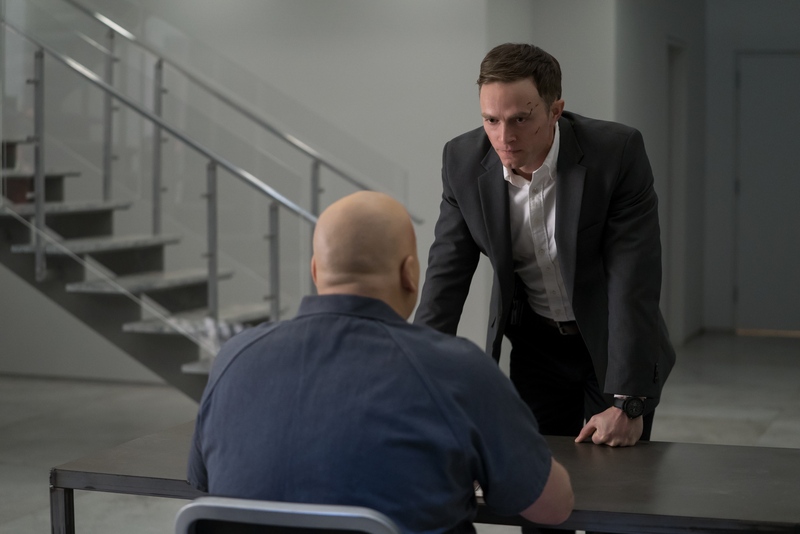 One of the strongest components in season one was Wilson Fisk, and new showrunner Erik Oleson has brought him back in full force, setting him up as a changed man, one whose time in prison has reformed him. But he’s not free, at least not in the first six episodes. Though he manages to get out of jail, he’s still under FBI custody as part of a deal he made to provide them with leads to bring down Hell’s Kitchen’s most notorious bad guys in exchange for keeping Vanessa safe from imprisonment and the repercussions from the criminals he’s helping to put away. 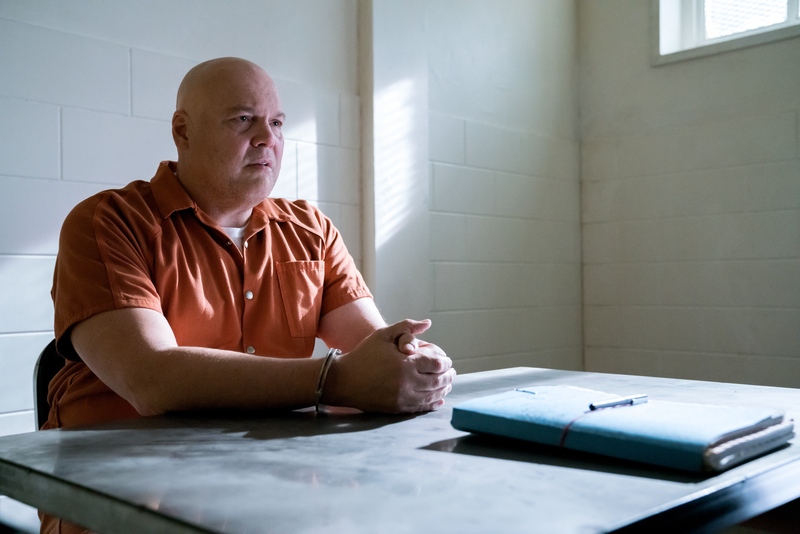 And there are moments in the first six episodes that I feel sorry for Fisk, a compliment to the complexity the show’s writers and D’Onofrio bring to the character. But as the season progresses, all is not what it seems. Considered by many comic book nerds, including myself, to be one of the best Daredevil stories in the history of the character, Frank Miller’s 1986 story arc Born Again sees Matt Murdock slowly lose his mind as the the Kingpin systematically destroys his life. One of the elements that makes this story so famous is Sister Maggie, the nun who helps nurse Matt back to health after Fisk beats him to near death. Maggie, it turns out, is Matt’s long-lost mother. This season takes elements of this story, much in the same way season 2 took elements of Miller’s “Death of Elektra” in Daredevil #181, and adapted them for the show. It’s not a well-hidden secret, especially since this trailer came out, that Bullseye (Wilson Bethel) will be this season’s main baddie, other than Fisk. One of Daredevil’s most revered enemies, to comics nerds Bullseye is forever known as the man who murdered Elektra in Daredevil #181. In the comics, he doesn’t have a definitive origin story, but has gone by the alias “Benjamin Poindexter,” which allows season three’s writers creative freedom to frame an origin that befits the show’s current plot. So far, in the first half of the season, the only things Bullseye and his comic book counterpart have in common is their name, their mental instability and their deadly aim. As you’ll see as the season plays out, Poindexter’s mental descent to becoming Bullseye is riveting and downright creepy, which makes him a Fisk-level villain; brutal and complex. Bad guys are always more interesting when you really play with their psychology, and this season explores Poindexter’s mental instability in a fascinating way, sprinkling elements from the comics into a new origin, setting up Poindexter as a hero FBI agent manipulated by Fisk. As season three begins, Murdock is in no shape to fight crime. He barely survived the events at Midland Circle in The Defenders, and he’s not just bruised and battered physically, but mentally, as well. But he has the help of Sister Maggie (Joanne Whalley). Maggie helps nurse Murdock back to health physically, and challenges him mentally when he’s all but given up. In the show, it’s something of a reunion; Maggie helped raise Matt in the orphanage he was sent to after his father was murdered. This wasn’t the case in Born Again, as Maggie has become a nun after abandoning her family. Season three could reveal Whalley’s Maggie to be the long lost mother of Matt — or she’ll simply be a mother-like figure. Whatever the case, she adds an interesting twist to the drama. 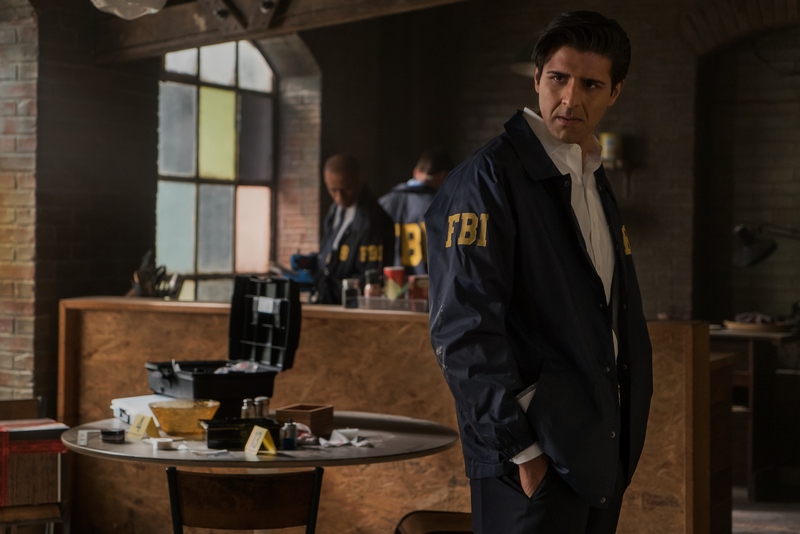 Also new to the mix is FBI agent Rahul “Ray” Nadeem, who’s up to his eyeballs in debt after helping his brother pay for his sister-in-law’s cancer treatment. To try to dig himself out, he becomes more ambitious in his work, taking more of a leadership role in the FBI. 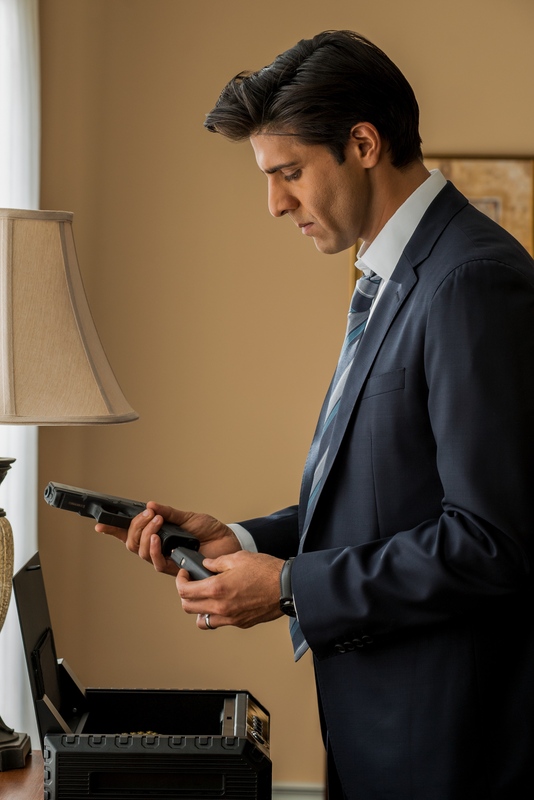 Nadeem is integral to the plot this season, as he’s the one who builds a rapport with Fisk, getting him out of jail and under FBI protective custody. He’s an empathetic character to be sure, who’s just trying to protect his family. But his eagerness to rise in the ranks to help his family is blinding him to Fisk’s true intentions. This season, Matt is back in black. After his red (or burnt sienna, if you will) costume is destroyed, Murdock adopts his original black costume again, but with a twist. Because he’s being treated at the orphanage he grew up in, which is in a church, he must make do with what is available. And in a Catholic church, what works better than the religious habit of the nun, a black tunic with a black and white coif. It’s a nice nod to Matt’s religion; the backbone of Daredevil’s character. Speaking of religion, Matt’s relationship with God looms large this season, and it’s in shambles. In season one, Matt believed that he gained his heightened senses for a reason: to be a warrior for God. But as a result of the physical trauma he received from the explosion at Midland Circle, Matt’s heightened senses don’t work, leaving him a regular blind man. He feels God has taken away what made him so special. But what Matt is forgetting is that it wasn’t necessarily his superpowers that made him a hero, it was his strong Catholic faith. On top of that, Matt fully embraces his Daredevil identity, focusing on the devil part. Still believed to be dead, he abandons his friends, Foggy and Karen, and shuns his Matt Murdock identity. As Fisk begins to realize that Matt and Daredevil are the same person, he sets out to destroy him. At the same time, Matt wrestles with whether or not he should kill Fisk, once and for all. Maggie turns out to be Matt’s mother. Because the show hasn’t really touched on what happened to her. And to not have this happen would really be sacrilege to Daredevil comics fans. A new Daredevil costume. I admit, this is where I get nerdy. I want to see a brighter red, more comics-accurate costume with Matt’s classic double-D emblem emblazoned his his chest, along with expandable, grappling hook baton. With Matt fully embracing his Daredevil identity this season, this creative choice really would make sense, especially since his last costume got mixed reviews from fans. Bullseye adopting his comic book symbol. 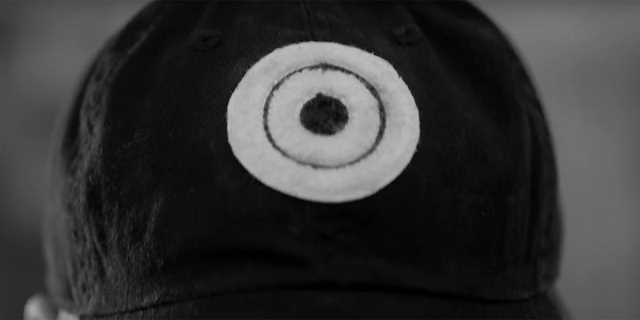 In the comics, Bullseye’s symbol is, not surprisingly, a bullseye. His costume in the comics is cheesy, a black leotard with the blazing-white bullseye symbol on his masked forehead. We don’t have to go quite that accurate. But a nice blend of the comics costume and the grounded, real-life approach would be nice. Superhero guest star. In Born Again, the Avengers make a guest appearance in the story. I don’t expect that happen, but it would be cool to see Jessica Jones or Luke Cage show up. I expect Danny Rand is off traveling across the world, looking for Orson Randall. Bullseye is finally making his presence felt in Daredevil season 3 - but Marvel seem to have forgotten that they dropped a Bullseye Easter egg all the way back in season 1. In the comics, Bullseye is one of Matt Murdock's most notable villains, and fans are eager to see how Marvel Netflix translate the character from the comic book page. Bullseye's comic book origins are rather ill-defined, but in Daredevil he'll enter as FBI agent Benjamin "Dex" Poindexter - a master marksman who is also good with thrown weapons. He appears to have serious mental problems, which his structure at the FBI helps keep in check, but clearly something will break - and Poindexter will become a force to be reckoned with. Although all but the most dedicated viewers have forgotten it, though, Bullseye was actually teased all the way back in Daredevil season 1. Episode 6, "Condemned," saw one of the Kingpin's men demonstrate tremendous marksmanship skills when he assassinated Detective Blake. The camera lingered slightly over the sniper's bag, and it showed a playing card - Bullseye's trademark. It was only a subtle hint, but it was clearly meant to imply that Bullseye was an established assassin who worked for the Kingpin - a very comic-book-accurate interpretation indeed. 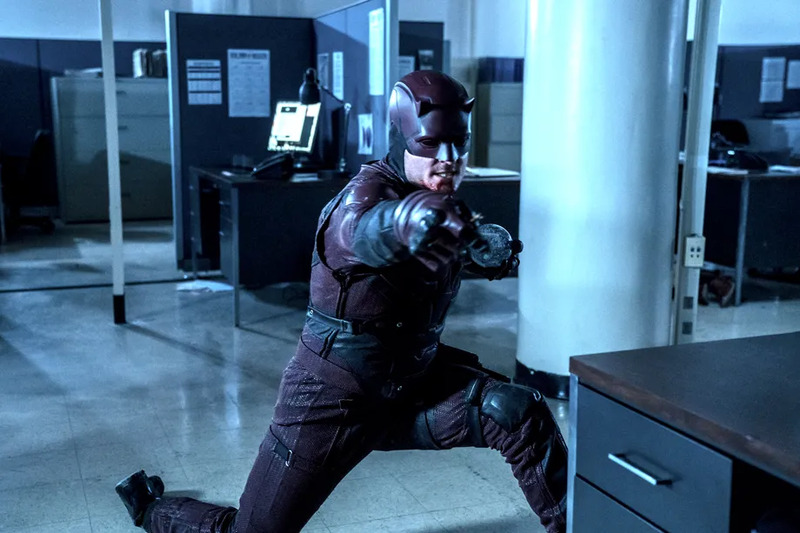 It looks as though Bullseye's previous role has been ignored in Daredevil season 3 by showrunner Erik Oleson in favor of telling an origin story. Oleson's approach makes a lot of sense. While the Marvel Netflix shows have long taken to exploring the backstories of specific characters with a liberal use of flashbacks, in dramatic terms, you don't necessarily want them fully formed; it's much more interesting to watch as a character is transformed into one of the most iconic Marvel villains. That's all the more exciting given Daredevil seems to have been broken in the aftermath of The Defenders. With Bullseye, you have his greatest physical threat taking shape right at the moment he is at his weakest point. This is the thing with Easter eggs like that Bullseye playing card; they're important at first watch, but a showrunner or director could always choose to forget them and go in a different direction. Easter eggs simply aren't binding. Sometimes they can be dismissed with ease; in this case, does it really matter that one of the Kingpin's assassins had a playing card in his bag? Sometimes they can be a little more difficult to deal with, however; when Marvel Studios showed a complete Infinity Gauntlet in Odin's vault in Thor, they had no idea it would become one of their worst continuity SNAFUs, something that still doesn't make sense when you stop and think about it. Hopefully Daredevil won't need a similar comedy reboot to iron out the canon. Following the events of The Defenders, Matt will be suffering from both the physical and psychological effects of vigilantism. Daredevil actor Charlie Cox explained that he is estranged from his friends for most of the season “because he wants them to be safe,” but also because “he can’t bring himself to be vulnerable.” This leads to Karen and Foggy having to find their own way in a world without Matt. Deborah Ann Woll, who plays Karen on the show, did a great job of laying out how the three balance each other out, describing Matt as the doer, while Karen is the planner and the one who can think three steps ahead. Meanwhile, “Foggy is about consistency, and if Matt and Karen — who are the most inconsistent, wild, reckless people that exist — didn’t have Foggy, nothing would get done.” Season 3 will test these roles, and cause the characters to go on their own journeys. Woll describes her characters as “a profoundly lonely person [who] avoids honest connection.” She believes that this is one reason their romantic relationship could not work in Season 2, because “neither of them were being honest with each other about who they really were.” However, she believes Karen will benefit from the absence of Matt, in a way. 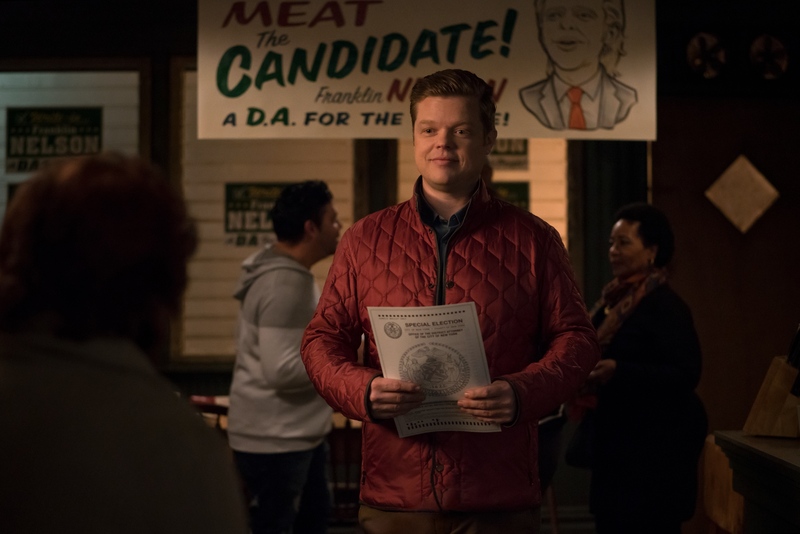 As for Foggy Nelson, Elden Henson explained that his character will be dealing with a lot of “anger and guilt, and maybe a little resentment” regarding the apparent death of his best friend. However, he was clear to explain that Matt and Foggy’s relationship has always been like family. “You can fight a lot worse than someone else you aren’t as close with,” but there is always love. With the loss of Matt, Henson explained Foggy is present with the chance to “not just break out on his own, but we get to see his home life a little bit. We meet his family.” Over the course of the season, Foggy will gain a kind of emotional maturity after he steps out of Matt’s shadow and becomes his own man. When Matt was around, Karen and Foggy struggled both financially and emotionally. 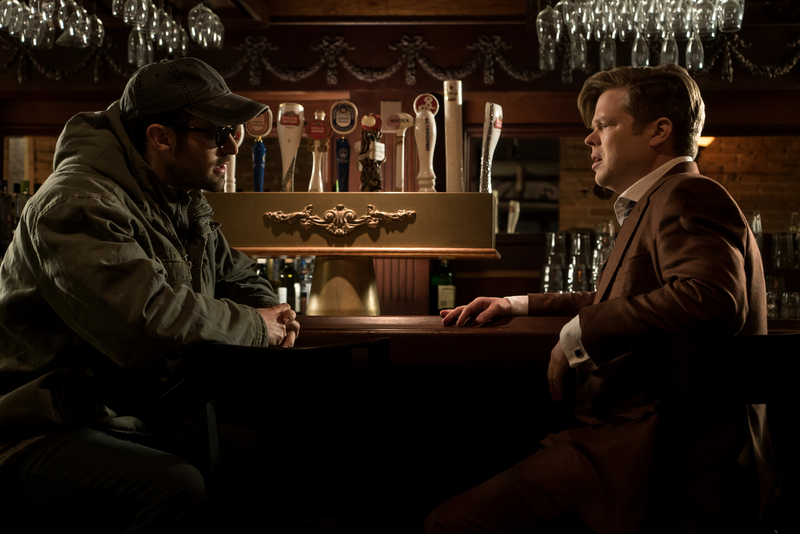 Since the dissolution of Murdock & Nelson, both characters have gone on to find success as an investigative journalist and lawyer, respectively. Because of this, it’s worth asking whether they’re actually better off without their friend, and both actors were clear about how their characters feel about Matt Murdock. That's some great artwork right there. After over two-and-a-half years, Marvel/Netflix’s flagship series finally returns this Friday for its long-awaited third season and it's only natural to wonder whether the Man Without Fear picks up right where he left off, or if he’s lost a step after The Defenders. Well, let me assure you right now that there’s no reason to worry because the Devil of Hell’s Kitchen is back and he’s never been better. 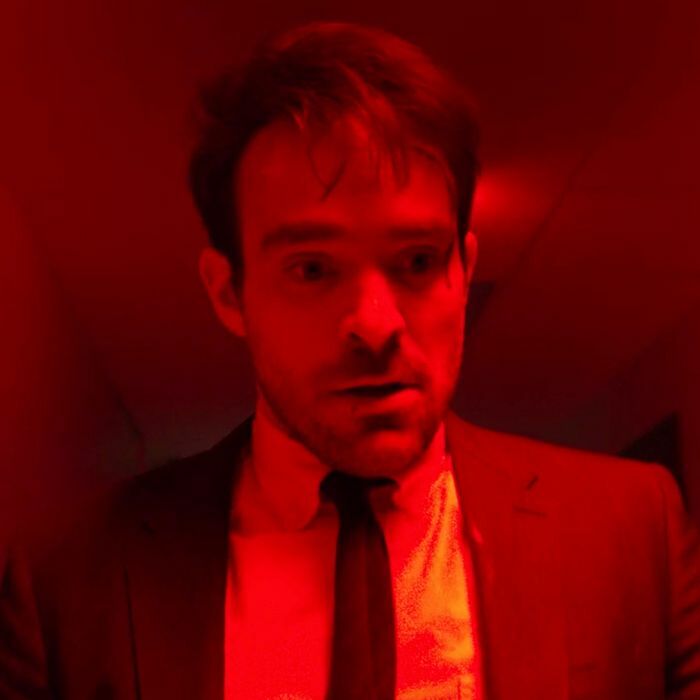 Daredevil season three picks up almost immediately after the events of The Defenders miniseries by revealing how Matt Murdock (Charlie Cox) managed to cheat death at Midland Circle. Without spoiling exactly how he survived, he does manage to reach out to Father Lantom (Peter McRobbie), who takes him back to the orphanage where he grew up before he's quickly reunited with the woman that raised him: Sister Maggie (Joanne Whalley). The story then takes a pretty significant time jump as Maggie, over the course of several months, helps Matt with his unorthodox rehabilitation, which is quite a tall order considering how hard-headed her patient can be. Not making the situation any easier is the fact that Matt is not only in a terrible place physically with his powers on the fritz, but he’s in an even worse spot spiritually as he’s lost his faith in God after what happened to both Elektra (Élodie Yung) and Stick (Scott Glenn). He soon begins to question if the world really needs Matt Murdock or if everyone would be better off with only the Devil. 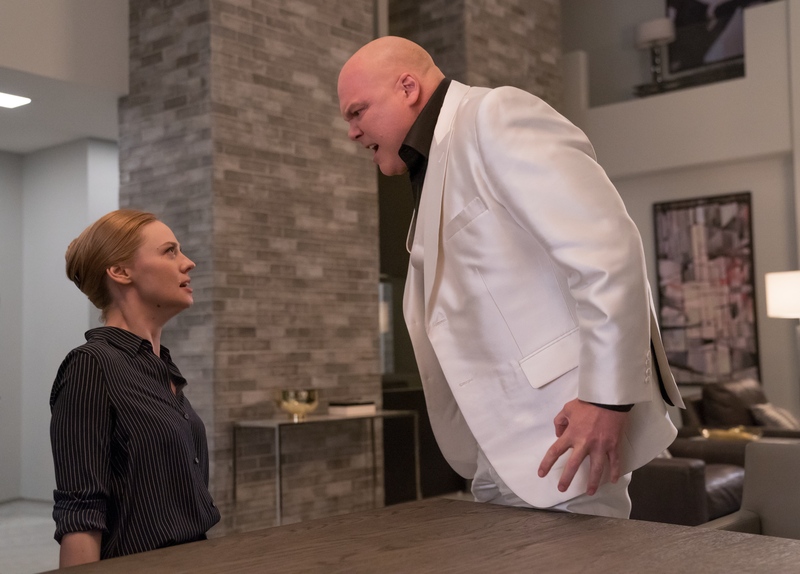 Elsewhere, on the villainous side of things, Wilson Fisk (Vincent D’Onofrio) has been living the good life behind bars, but he’s put on high alert when he learns that the FBI is looking to hold Vanessa Marianna (Ayelet Zurer) accountable for his crimes, which, of course, isn’t going to fly with the Kingpin of Crime. After a powerful monologue to veteran FBI Agent Rahul Nadeem (Jay Ali), he decides to cut a deal with the FBI to ensure her safety, but things, as they typically are with the Kingpin, are not entirely what they seem and something much more nefarious may be afoot. 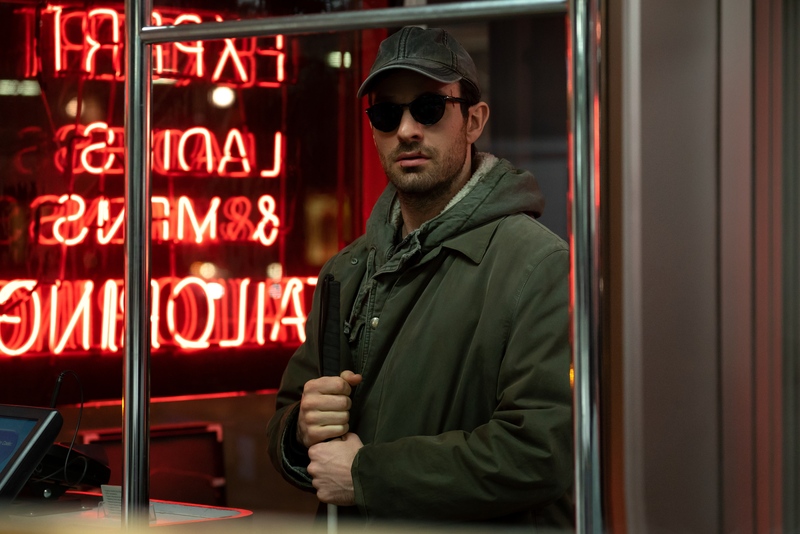 Charlie Cox has always been excellent in the dual roles of Matt Murdock and Daredevil, but this season has the potential to be his finest hour yet. He’s no longer playing the Murdock we’ve come to know and love over the past three years, he’s portraying a changed man that’s finally been broken by the evils the world has thrown his way - and Cox plays it to perfection, bringing pure fire and electricity to his scenes as both Murdock and the Devil. When he ultimately returns to his crime-fighting ways with his makeshift black suit, he retains his moral compass, but no longer relies on God to have his back if anything goes awry. After this coming season, Charlie Cox will be as synonymous with Daredevil as Hugh Jackman is to Wolverine, Chris Evans is to Captain America, Robert Downey Jr. is to Iron Man, and Ryan Reynolds is to Deadpool. He’s just that good. After sitting out the majority of season two, Vincent D’Onofrio reprises his role as the Kingpin, bringing back his own blend of raw animal magnetism to the part. He’s a force of unspeakable evil, but when he’s onscreen, you can’t help but watch and listen intently to every single word that’s coming out of his mouth, regardless of whether it’s a bold-faced lie or a rare moment of sincerity. 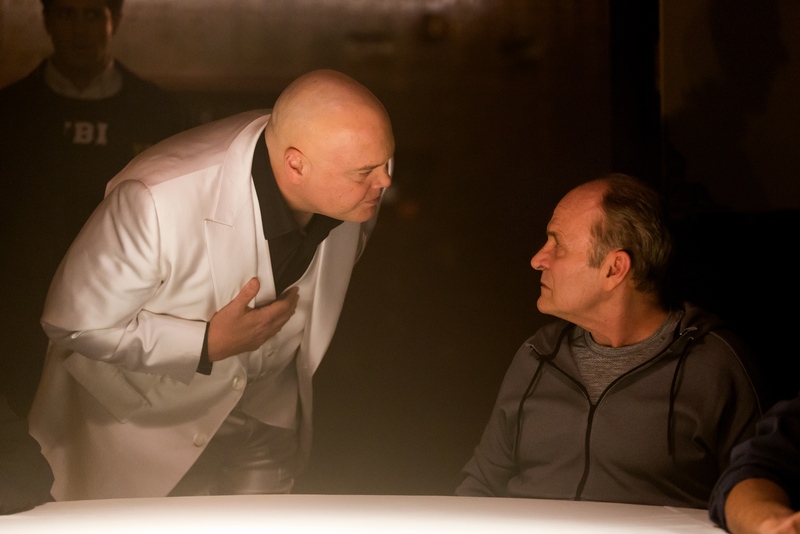 Unlike the first season, it seems Fisk has finally found a way to keep his temper in check, but just when you might think he may have truly gone straight for love, the show begins to pull back the curtain a bit and we begin to notice exactly how the Kingpin has been pulling everyone’s strings all along. Quite frankly, it’s an amazing performance from D’Onofrio and makes his inevitable rematch with the Man Without Fear all that more anticipated. Now, as for the secondary antagonist, Bullseye (Wilson Bethel) is equal parts badass and complete goddamn psychopath. While Cox and D’Onofrio are undoubtedly the showstoppers, Bethel nearly manages to steal the show from both of them with his portrayal of a chilling descent from the seemingly well-adjusted FBI Agent Benjamin “Dex” Poindexter into the completely unhinged master marksman. It’s actually a heartbreaking storyline as we watch a man that’s worked so hard to be good and has taken all the right steps, only to be betrayed by the system he believed in and ultimately giving into his darker instincts and losing the battle with himself. He’s the most exciting addition to the third season and his first brutal showdown with Daredevil is an easy highlight of the first half (on par with Daredevil vs. Punisher from S2) and the body count is a lot higher than you might expect. Bullseye also gets one of the coolest introductory scenes of any character in the Marvel/Netflix universe. The buildup to his arrival is fantastic, even if you won’t know it’s coming. Fellow newcomers Joanne Whalley and Jay Ali are both welcome additions to the cast, each bringing something different to the series. Whalley is easily one of the best parts of the premiere and her dynamic with Cox is one of the best relationships on the series. She may not be Matt’s actual mother, but she essentially fills that role with a dry humor and heart that is much needed to counterbalance the suddenly dark and dour Matt Murdock. It’s also nice to meet someone that knew Matt before his Daredevil days and get some valuable insight on what made him into the man we met in season one. Ali is an interesting addition as well, playing the well-intentioned, but seriously in-debt, FBI Agent Rahul Nadeem, who has been tasked with serving Fisk’s handler. At first glance, it seemed a little too obvious where his storyline was probably going, but after six episodes, it feels like the showrunners may be looking to avoid that classic trope by depicting a good-hearted government agent - although it is still relatively early in the process and the Kingpin has only just begun to set his plan in motion, so who knows which side Mr. Nadeem will be on by the end of the year. 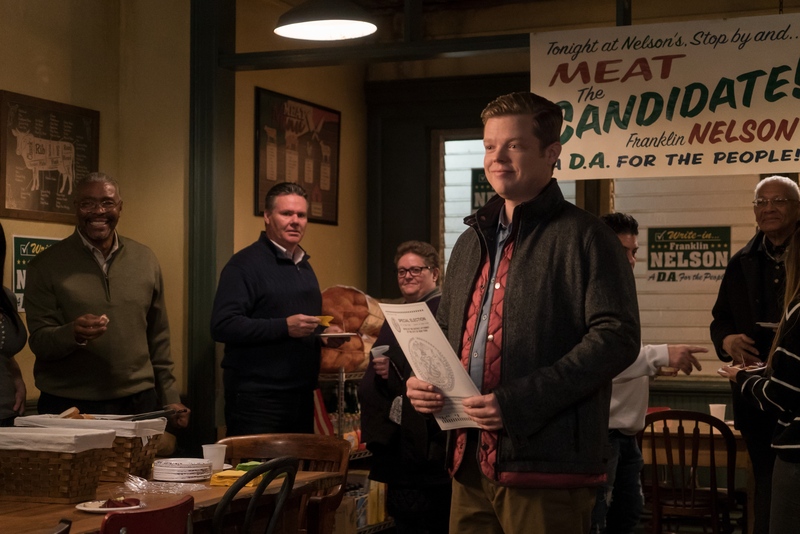 In a season with practically everyone descending into darkness, Elden Henson continues to inject optimism and levity into the series as Foggy Nelson and will be on his own unique journey this season, potentially on the verge of taking on a new role that could do a lot of good for Hell’s Kitchen if all goes according to plan. However, with the Kingpin placing a target on his back, that may be easier said than done. As for Karen Page, well if there is one small downside to the season, it’s that the show continues to have a slight Karen problem, albeit it’s not as pronounced as it was last season. Deborah Ann Woll continues to excel in the role, and plays the part of a spiraling, paranoid reporter extremely well, but it’s sometimes hard not to feel as if the character hasn’t overstayed her welcome on the series. She along with Foggy are both still mourning Matt when the season picks up, but while Foggy tries his best to move on and works to build a life with Marci (Amy Rutberg), Karen is still very much convinced that Matt is alive - which she’s not wrong about - but it did feel like a waste of a subplot early on when there were possibly more compelling directions to go with her character, who spends much of the first half in a downward spiral and wallowing in the renewed guilt of killing James Wesley (Toby Leonard Moore) in season one. The early part of the season does also offer some hints about Karen’s past, so it does seem likely that a future episode will fully delve into her troubled upbringing, which could make for an interesting parallel with her present-day self as she struggles with her innermost demons and potentially heads toward another descent into madness. I don’t want to spoil anything, but the fight scenes are once again top-notch, arguably some of the best superhero fights ever put on television. There is another version of the popular “hallway fight” scene but it’s a little different than the ones that have come before and almost has a video game feel to it, which makes it all that much better. To describe it, it’s probably a cross between the original hallway fight, the stairwell fight from season two and the Punisher prison fight. It’s just awesome. After middling follow-up seasons for Jessica Jones, Luke Cage, and Iron Fist earlier this year, Daredevil season three is a true return to form for both Marvel and Netflix, which is good news for CBM fans everywhere. This season, which draws inspiration from "Born Again," is relentless from the get-go and absolutely does not disappoint as the Man Without Fear returns from the dead to bring down one of the most iconic villains in Marvel lore. 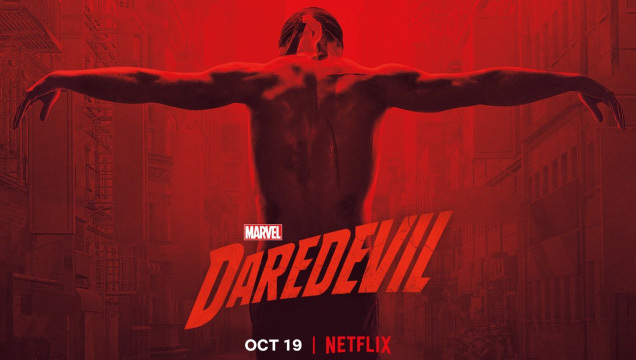 The fights and performances are all among Marvel’s best and anytime Charlie Cox, Vincent D’Onofrio, or Wilson Bethel is onscreen, it’s absolute must-watch television. Don't miss it this Friday. Daredevil season 3 casts Peter Halpin as Theo Nelson, Foggy's little brother and an original character created for the popular Marvel Netflix show. Excitement is building for the third season, which premieres tomorrow. The partnership between Marvel and Netflix has been a tremendously productive one, with no less than four seasons dropping on the streaming giant in 2018. Daredevil season 3 is easily the most eagerly anticipated, though, since the show was officially announced at San Diego Comic-Con 2016. Plus, this season finally follows on from the dramatic events of The Defenders. Deadline has confirmed that season 3 will introduce a brand new character into the Daredevil mythology. It's time for viewers to meet Theo Nelson, Foggy's younger brother. According to Deadline, Theo is "as genial as his older sibling but less career-driven than Matthew Murdock’s law partner." It seems Theo has worked his whole life at his parents' butchers shop in Hell's Kitchen. That seems to imply an interesting dynamic between the two siblings; one has pursued his career, while the other has stayed at home with the parents. Theo will be played by Peter Halpin (Angela's Ashes, Garage, Narcan). Elden Henson, who plays Foggy, has promised that this will be an important season for his character. Showrunner Erik Oleson consulted with him about the direction Foggy could take back before production began, and according to Henson he will "[step] out from Matt’s shadow a little bit and sort of become his own man in some ways." It seems part of that character development involves connecting with his roots, with Foggy presumably visiting his parents and spending some time with his sibling. The plot of Daredevil season 3 is heavily influenced by the classic Born Again and Guardian Devil arcs, and as such it could be a dangerous time for Foggy. In Born Again, Wilson Fisk learned that Matt Murdock was Daredevil, and launched a relentless campaign to destroy the Man Without Fear. It's quite likely that, in the Netflix version, Matt's closest friends will be caught in the clash between Daredevil and the Kingpin - and Fisk isn't above targeting family members. That means Theo - and, indeed, Foggy's parents - could be in very real danger. Viewers really don't have long to wait until they get to meet Theo Nelson for the first time. Daredevil season 3 will officially release at midnight PST/3am EST/8am BST on October 19 - which does make this a surprisingly late casting announcement. All the signs are pointing to Wilson Bethel making a huge impact in season three of Daredevil as the villainous Bullseye but had things played out slightly differently, the actor could have landed the role of Captain America in the Marvel Cinematic Universe proper when Marvel Studios was looking to cast the Star Spangled superhero for Captain America: The First Avenger in 2011. During a recent interview, Bethel explained what happened during the audition process and how it felt to miss out on what was then arguably set to be the biggest role of his career. "I mean that was both, probably the single most exciting time of my life and also the single most devastating when it didn't happen. But, yeah, that was eight years ago now. They put me in the Cap suit and did everything. So, I screen tested it at Marvel with a number of other guys. They ended up releasing all the other guys... I was meeting with Joe Johnson to discuss the role and see story boards. So, it was this insane period where during that time I kind of thought that maybe I was going to actually get the role. I actually screen tested again a second time a month later on my birthday." You can probably see where this story is going as it was a couple of days later that he learned who would actually be playing Captain America. It must have hurt to come so close (trying on the costume, etc.) only to then miss out so narrowly. "And then, I think it was like one or two days later that they made the announcement that Chris Evans got the part. So, to be perfectly honest, that was one of the hardest moments in my professional career. And it spun me out for a while to be honest with you. But I'm also a firm believer that things happen as they're supposed to, and obviously, Chris did an incredible job in that role. And my life, while it hasn't brought me to lead the Avengers, has been really rich and rewarding in other ways. So, I can't spend too much time lamenting it. And honestly, just the fact that things have kind of come full circle in a way, and I still get to be a dude in a suit, is pretty exciting." It's now damn near impossible to imagine anyone other than Chris Evans suiting up as Captain America and while it must have hurt Bethel to learn that he wouldn't be joining The Avengers, getting to play a character as complex and interesting as Bullseye certainly goes some way in making it up to him. Do you think he would have made a good Cap? Let us know your thoughts below. Not unlike its titular hero, season 3 of Daredevil isn't pulling any punches when it comes to characters, plot, and themes. After tackling faith, inner demons, and corruption, the third season of the Netflix series will pack a topical punch, taking inspiration from the current political climate. In the third season of Daredevil, Matt Murdock (Charlie Cox) is reeling from the events of the past two seasons, as well as The Defenders, and it's taken a noticeable toll on him. However, Matt isn't given much time to take a breather when his archenemy Wilson Fisk (aka The Kingpin) manipulates his way out of prison as an FBI informant and ultimately reinstates himself as the big bad in Hell's Kitchen. Only, he isn't alone. Matt must also face off against a new antagonist who is officially credited as Benjamin Poindexter, but fans of the series will recognize as the inimitable Bullseye. And, while the bulk of Daredevil's third season will revolve around Matt's journey in confronting/overcoming his fears, there is politically-driven influence under the surface highlighting the overall theme of this season. Though season 2 of Daredevil was certainly entertaining and checked off boxes to satisfy die-hard fans, season 3 is trimming the fat. Matt Murdock is a character whose entire life is based around justice, or lack thereof, so it's only right that something as topical as political corruption would play a role; and mirroring certain elements from real life that audiences are personally familiar with has the power to make the series that much more engaging - without sacrificing all the entertaining bells and whistles that come with it. Marvel and Netflix's third season of Daredevil is officially out and available to stream with both new and returning cast of characters. 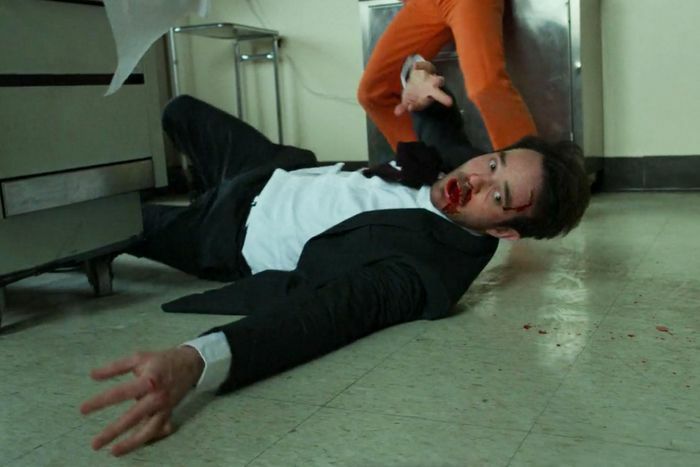 It has been three years since the first season of the Matt Murdock focused series debuted, and the last time viewers saw him in The Defenders, he left in worse shape than he began. But, his return was already guaranteed thanks to his solo series already being renewed for a third season. 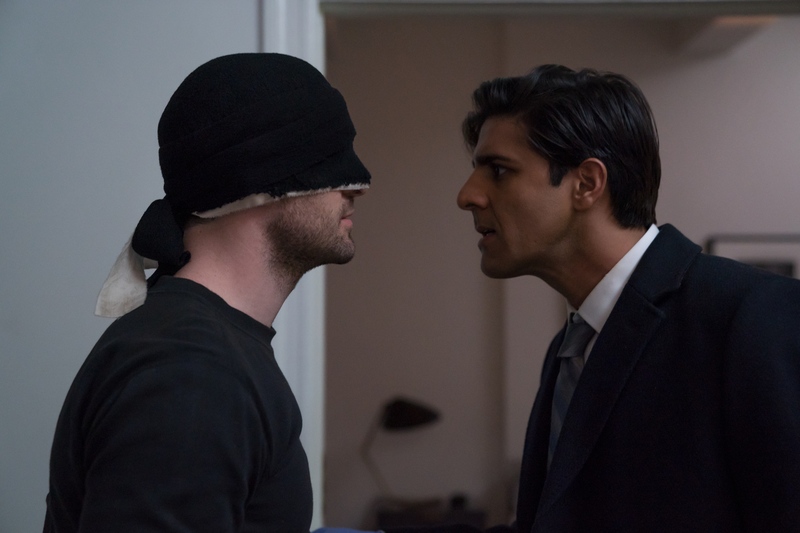 The lead up to the new season has been filled with promotional materials teasing a return to the basics, or more accurately season one's form, for Daredevil. Matt is going back to the black suit and his old foe is returning to terrorize his life again. With a new villain also joining the mix, Matt and his friends will be put in harms way more than once throughout the new season. There's going to be the usual cast of characters popping up, but also some new ones, so here is a guide to who is going to be featured in season 3. 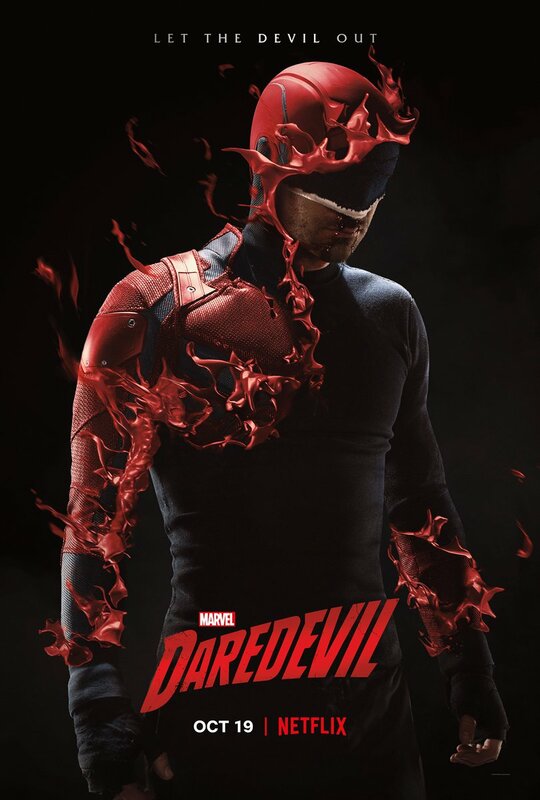 Charlie Cox as Matt Murdock - The devil of Hell's Kitchen will return to his city in season 3, after The Defenders' finale left Matt Murdock dead in the public's eye. He won't be fully healed by the time he makes his return, and he won't have time to get back in shape before he's forced to suit up once again. This will be the third solo season that Charlie Cox stars in as Daredevil, but viewers may also know him from his prior work on Boardwalk Empire. Vincent D'Onofrio as Wilson Fisk - The powerful businessman known as the Kingpin was foiled by Daredevil in the first season of the series. Fisk was locked away at Ryker's Island, where he eventually met Punisher (Jon Bernthal) and also had an encounter with Matt Murcock in an interrogation room, but he will be freed from his cell for season 3. He'll turn the city against Daredevil by any means necessary to restore his place as its true hero, in his eyes. Outside of his incredible work on Daredevil, D'Onofrio is known for his early memorable roles in Men in Black and Full Metal Jacket, while more recently starring in Jurassic World and The Magnificent Seven. 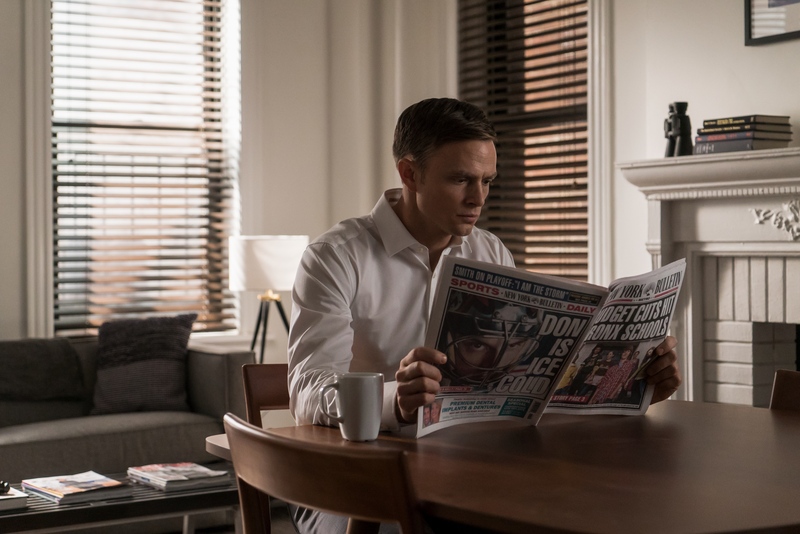 Wilson Bethel as Agent Benjamin Poindexter - The new antagonist for season 3 of Daredevil is one fans have been waiting years for. After a tease of his existence in season 1, it is just now that Bullseye is actually being introduced. Poindexter is an FBI agent who Fisk will get involved with. Based on the marketing for the new season, we know that Bullseye will actually be suiting up as another version of Daredevil. With this being Bethel's debut in Netflix's Marvel world, viewers may know him from his major roles in Hart of Dixie and The Astronaut Wives Club. 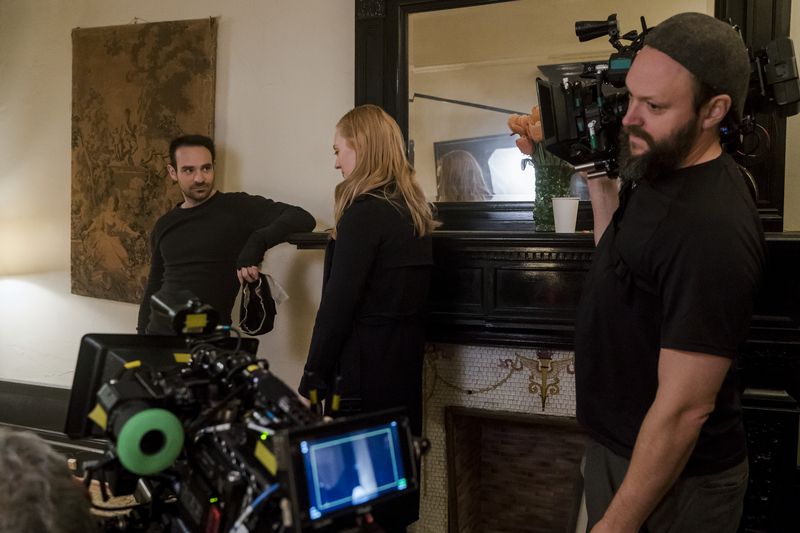 Deborah Ann Woll as Karen Page - Karen has rebuilt her life since first encountering Matt Murdock, as she's now a journalist for the New York Bulletin. Matt revealed his heroic alter ego to her at the end of season 2, but she's in the dark about him still being alive. They will reunite in season 3, but their relationship won't be the same now. Outside of her Marvel role, viewers may know Woll best for her role as Jessica Hamby in True Blood. Elden Henson as Foggy Nelson - The other half of the law firm formerly known as Nelson & Murdock, Foggy is also still under the belief that his former best friend is dead. He won't take his surprise return too well, and will likely only splinter their relationship as the season unfolds. Many may recognize Henson from The Mighty Ducks trilogy or his more recent appearance in the final two Hunger Games: Mockingjay films, as well as his cameos in other Marvel shows. Amy Rutberg as Marci Stahl - Despite a previous relationship and break up, Marci and Foggy have reignited their love. The former lawyer for Landman and Zack was looking for a new place of work and could find that now. Rutberg has appeared in several major TV shows in the past, such as NCIS: New Orleans most recently. Ayelet Zurer as Vanessa Marianna - A major part of season one, Vanessa was forced to leave Fisk in order to protect herself. Now that he is being released from prison, she'll return to be with him once again. Zurer previously appeared in the recent Ben-Hur remake and was also Superman's mother Lara Lor-Van in Man of Steel. Joanne Whalley as Sister Maggie - Arguably the biggest new addition to season 3 is Matt Murdock's (comic) mother, Sister Maggie. She will have a pivotal role in getting Matt back to health, but may not be exactly like her comic counterpart. Whalley has previously been seen in Wolf Hall, The White Princess, and The Borgias. Jay Ali as Rashul Nadeem - When he was cast for season three, Nadeem was described as "an honest, but ambitious FBI agent willing to go to any length for his family." Ali previously recurred on The Fosters and Bloomers. Lesley Ann Warren as Mrs. Falib - Warren was a late addition to the cast of Daredevil as far as official announcements come. Marvel confirmed her casting just a few weeks ago, months after she filmed her part as a woman described to have "high morals and steely resolve." This could put her in Fisk's crosshairs, as she also is "uncompromising in her beliefs, even if it means making powerful enemies." With the new season of Marvel's Daredevil set to be inspired by Frank Miller's iconic "Born Again" storyline, fans are expecting a tragic turn for the titular hero. In that story, the tragedy is born from Matt Murdock being exposed by Wilson Fisk, thus putting him on the run and losing everything he holds dear to him. In Daredevil Season 3, Matt gets sent down a similar path, but with a bit of a twist. Towards the beginning of the new season, Matt learns that Fisk has been transferred from prison to a version of house arrest that allows him to live in a luxury hotel apartment under FBI surveillance. Knowing Fisk needs to remain behind bars, Matt attempts to get to the truth, and steals Foggy's New York State Bar Association ID to sneak into prison. Of course, he's set up once he gets there and a corrupt employee attempts to kill him. Watching through security cameras is Fisk, who sees Matt fight and realizes who he is. Once the Kingpin knows the identity of Daredevil, things start to spiral out of control. Since he's already working for the FBI, Fisk has the ear of the feds, and he uses events of Season 1 against Matt to pin crimes on him. Fisk takes files from Matt's law work and claims that he used him as a money launderer. This puts Matt on the government's radar, and also gets Foggy and Karen question by the Bureau. Unfortunately for Matt, he can only blame this one on himself. In "Born Again," Fisk learns Daredevil's identity because a hopeless Karen Page sold him out to get her hands on some heroin. This time around however, Matt tried to do things on his own, and he got careless. Once Fisk saw him in action, it was only a matter of time before he was under the microscope of every organization in the city, both criminal and government. 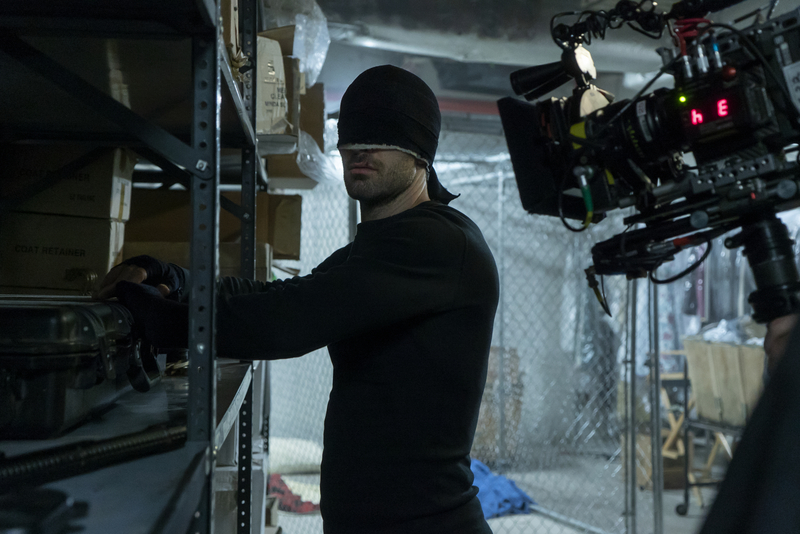 Netflix has released nearly sixty new hi-resolution stills from the third season of Marvel's Daredevil and we're bringing them to you in batches of 20, the first of which includes photos from episodes 1-4. After an excruciatingly long wait and an overwhelmingly positive early reaction, Marvel and Netflix finally released the hotly-awaited third season of Daredevil this morning and it absolutely doesn't disappoint as the Man Without Fear (Charlie Cox) returns from the dead to bring justice to the Kingpin (Vincent D'Onofrio). With the season now out, Netflix has shared nearly sixty new ultra hi-resolution photos from the latest season, featuring stunning looks at some of the biggest and best moments. Since there are so many, we'll be sharing them in batches of twenty, with the first batch containing images from the first four episodes of the new year. Check back in tomorrow for more! After nearly two-and-a-half years of waiting, Marvel and Netflix finally released the hotly-awaited third season of Daredevil yesterday, which was immediately met with widespread critical acclaim and has also been received quite warmly by fans from all across the globe. 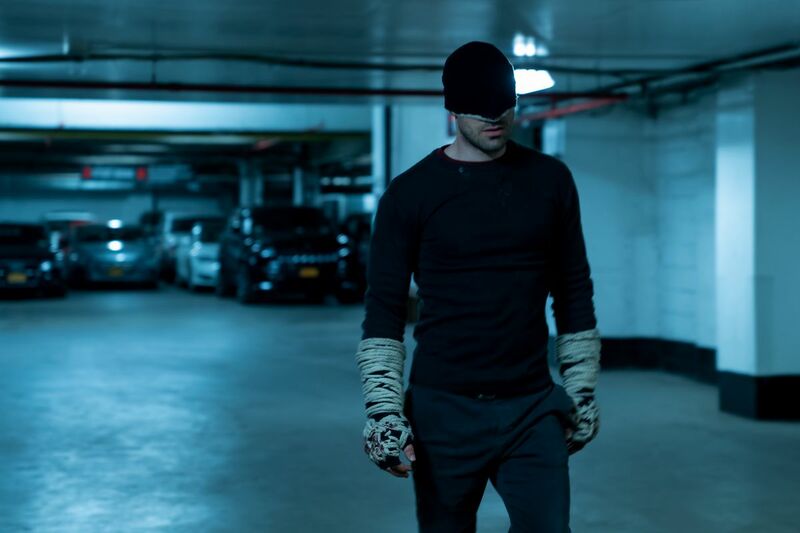 With the new season now streaming, Netflix has shared nearly sixty ultra hi-resolution photos from the latest season, featuring stunning new looks at some of the year's biggest and best moments as Matt Murdock (Charlie Cox) is born again, just in time, to bring down the Kingpin (Vincent D'Onofrio) and his evil empire. Since there were so many photos, we're sharing them in batches of twenty. The first batch contained images from the first four episodes, which you can view HERE, and now, the second batch includes photos from episodes five through nine. Check back in tomorrow for more! The new season of Daredevil has been a hit on Netflix, finally introducing a fan-favorite Marvel villain that fans have been clamoring for since the show was first announced. But this is a different version of Bullseye than fans have seen before. The character has basically been fully formed in the comics over the last few decades, with both his backstory and real name being mysteries to both the Man Without Fear and readers alike. But Daredevil introduced viewers to troubled FBI agent Benjamin Poindexter, who eventually becomes Wilson Fisk's lethal enforcer and, finally, Bullseye. 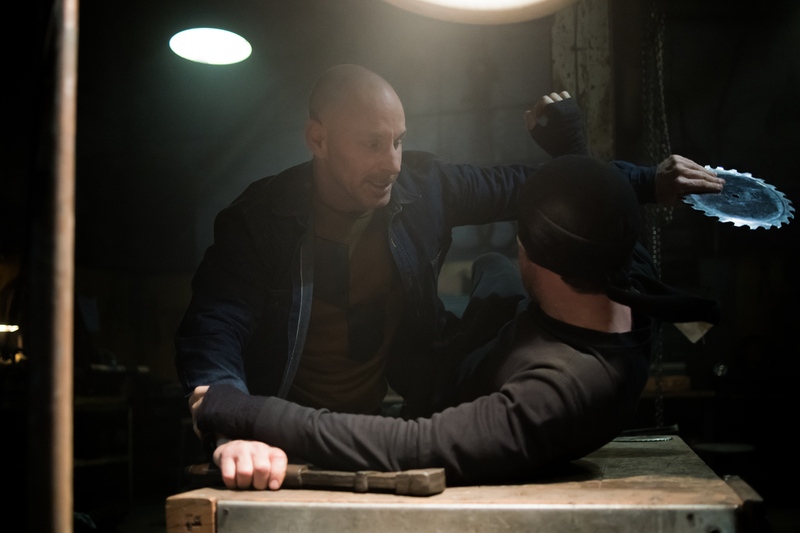 Series showrunner Erik Oleson spoke about why he wanted to dive deep with the character, taking the name from the Ultimate Marvel version of Bullseye and giving him a backstory that humanizes the villain. "This is the story of how this character — who might have been a good guy in the world — is turned into a bad guy, and ultimately set on the path to becoming one of the big villains of Marvel lore. And that allowed us to tell, I think, a deeper, more character driven and emotional story, which to me is the best kind of writing," Oleson said. "Stories that are very much told from the inside, where you're with characters, you empathize with characters, you understand the decisions they make, even if you may or may not agree with them, and you're on the journey. You're kind of in the head of those characters." Through Poindexter, Oleson saw another avenue to ground the series in character-driven storytelling, with Wilson Fisk being the ultimate villain. Fisk's narcissism ultimately poisons everyone around him, including the impressionable Agent Poindexter. "I think that would satisfy some folks, but it wouldn't have satisfied me," Oleson said. "I just wanted to go for the deeper model. 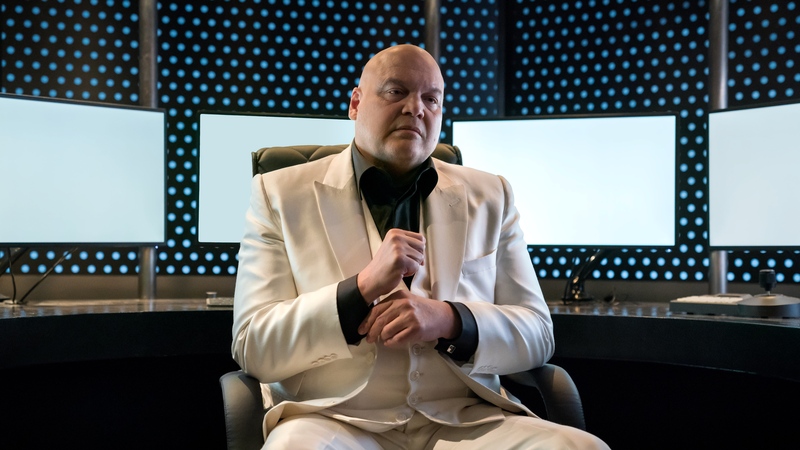 I think as in the future, if Bullseye were to appear in future seasons, I think that the audience is going to have a much deeper understanding and connection with that villain in the way that we have a deep and meaningful connection with Wilson Fisk after watching season one." While Marvel's future on Netflix seems a little dubious at this point, hopefully we get a fourth season of Daredevil to further flesh out this rivalry between the Devil of Hell's Kitchen and the man who will become Bullseye. I think this was the best season of the show yet. The ending of The Defenders revealed to audiences that Matt Murdock, also known as Daredevil, was in fact alive after a building collapsed on top of him. 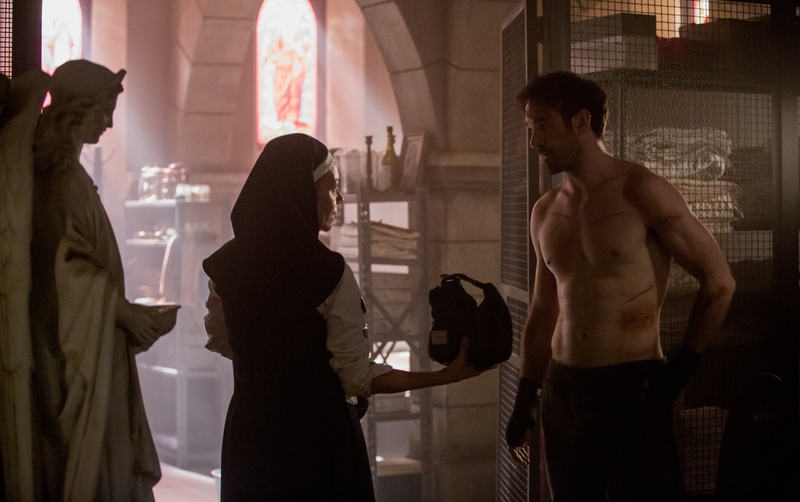 He was being tended to by a nun named Sister Maggie, who has roots that run deep in Daredevil's comic origins. Finally, in the newly-released third season of Daredevil's solo series on Netflix, we found out whether or not the show kept true to the character's backstory. Sister Maggie works alongside Matt throughout most of Season 3, but it isn't until the eighth episode that her true identity is revealed. Just as many expected, the Netflix series held true to the comics, and Sister Maggie is the mother of Matt Murdock. In the final moments of episode eight, Maggie is seen praying in the chapel, when she starts talking to Matt's late father. She says that Matt his stubborn, just like him, and refers to Daredevil as "our son." Of course, with his incredible senses, he hears this confession, and is devastated because he's gone his whole life without knowing. Daredevil Season 3 is rooted in popular comic storylines, including Frank Miller's "Born Again" arc. Showrunner Erik Olseson recently spoke with ComicBook.com about the inclusion of these comic callbacks. "There are a number of iconic panels from everything from 'Born Again,' to 'Guardian Devil,'" Oleson said, adding that callbacks to Daredevil: Yellow and more were also included. "I had my favorite moments, and we kept kind of a Easter egg list of stuff that we wanted to do in the writer's room while we were breaking stories. But the rule that we all imposed was that it had to be organic to the story that we were telling, and it had to come in an unexpected or a way that comic book fans would recognize it, but not know, or know what would come next, I guess is what I'm saying." 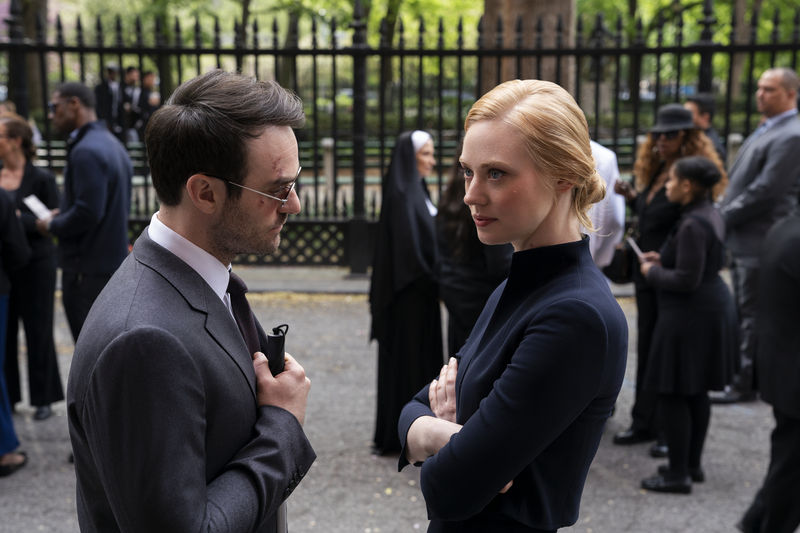 Did you expect Daredevil to stay true to Sister Maggie's comic origins? How are you feeling about Season 3 so far? Let us know in the comments! Mild spoilers for Daredevil below. It was natural to doubt him. 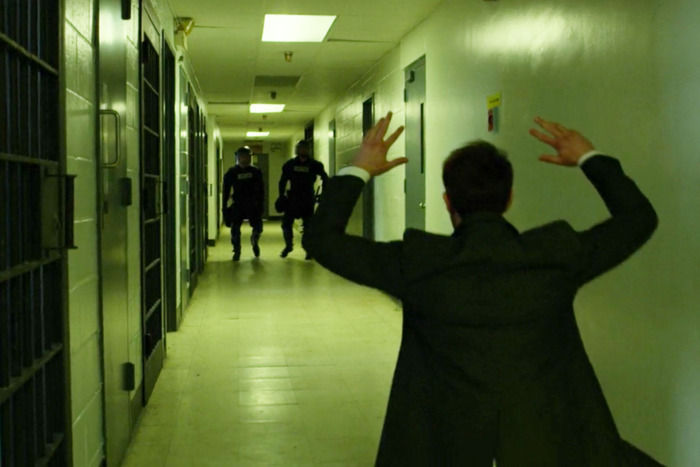 After all, the scene he’s referencing — a sequence from the first season in which the titular hero takes on a group of baddies in a corridor — is arguably what put the show on the map. It wasimmaculately choreographed, beautifully shot, and, perhaps most impressively, looked like a single, three-minute, uninterrupted take. To this day, it’s one of the most beloved building blocks of Marvel’s Netflix empire, racking up well over two and a half million views on YouTube alone. And yet, Oleson just might be right. In the newly released third season’s fourth episode, there’s a remarkable single-take scene that balloons out to a whopping 10 minutes and 43 seconds. Set during a prison riot, it somehow manages to not only be a massive, multiplayer fight sequence centered around hero Matt Murdock, but also a stretch of film featuring an extended period of emotional, plot-altering dialogue. What’s more, as impressive as the old hallway fight was, it all took place in a relatively confined space, whereas the jail scene runs throughout a labyrinth of hallways and rooms and ultimately leaves the building entirely, bringing Matt into a cab outside. It’s as exhilarating as it is seamless. Oleson’s interest was piqued, but he didn’t initially get the extent of what Lopez imagined. The script, after describing a bunch of tussling, called for a sequence where Matt has a conversation with a gangster. “Erik was like, ‘So wait, you’re gonna cut it there, right? Like, we get to that moment, you’re gonna cut?’” Lopez recalls. “And I was like, ‘No, I think we should keep going.’ Because I thought everyone in the audience is going to assume that, once you get into that room, that we then go into coverage, a single-scene kind of thing. But I thought we should just keep it going so it’ll feel urgent and very claustrophobic and horrible for Matt.” The showrunner was still skeptical, so Lopez shopped the idea around with the stunt team and came back to him. “Everybody came to me and said, ‘We think we can do this as a oner, and I said, ‘Okay!’” Oleson says with a big belly laugh. The higher-ups in the bureaucracy were initially skittish. Marvel Television’s vice-president for original programming, Tom Lieber, remembers hearing about the plan from Lopez and being stopped in his tracks. “I was like, ‘This is 12 pages of script,’” Lieber says. “He’s like, ‘Yeah, I know! Isn’t that crazy?’ I’m like, ‘Yeah, it is!’” Lieber and his peers discussed the idea with trepidation. However, in his recollection, they were won over by the on-the-ground team’s enthusiasm: “Charlie was really excited about it. Our camera [operator] was really excited about it. Alex was beaming about it. We were like, ‘We should just do it. We should just try it. We have to set them up for success with this.’” Lopez and Oleson got the go-ahead. Of course, then everyone had to actually pull the thing off. The team converged at an abandoned prison in Staten Island and got to work. Lopez had directed fight scenes before, but nothing on this scale. So he turned to one of the all-time great single-take scenes for inspiration: the famous 247-second war-zone sequence in Alfonso Cuarón’s 2006 dystopian masterwork Children of Men. “What Alfonso Cuarón did in Children of Men was obviously a very big reference for this,” Lopez says. 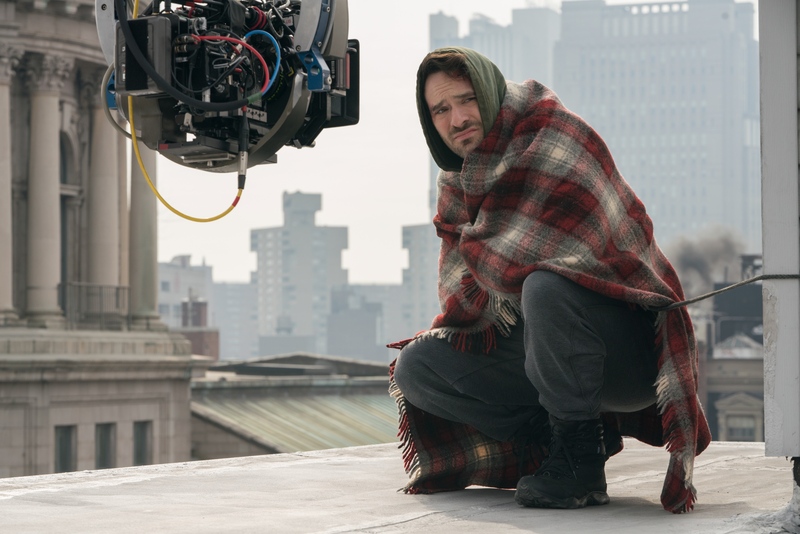 Specifically, he told cinematographer Chris LaVasseur to emulate the decision of Cuarón and that film’s cinematographer, the great Emmanuel Lubezki, to keep the shot mid-range nearly all of the time “so there was no question that it wasn’t a oner.” In Lopez’s mind, this was no time for modesty — he wanted the viewer to know they were watching something spectacular. But he didn’t want them to know when they were watching Cox’s stunt double, Chris Brewster. Lopez says Cox did about 80 percent of the sequence himself, but even he had his limitations, which meant they had to implement what are called “Texas switches” — moments when an actor leaves and a stunt double appears. That required some delicate and lightning-quick choreography, which the stunt team started practicing even before the main rehearsal. Cox’s exertion was rivaled by that of the camera operator, Jeff Dutemple, who had to follow the actor around with a Steadicam all the while. “Those cameras are pretty bloody heavy,” Lopez says. And if all else failed, there was a backup plan — or a “Plan Z,” as Lopez derisively calls it. Later in the season, someone watches the fight through CCTV footage, so portions of it would be filmed again from those angles. “If it all went absolutely pear-shaped, you could cut to that CCTV footage,” he says before adding emphatically, “which obviously I would have fought to death against.” But there was a factor that played into his confidence: the insanity of a prison riot. “If it was chaotic in a way, then that’s okay, because that’s what would happen,” he says.